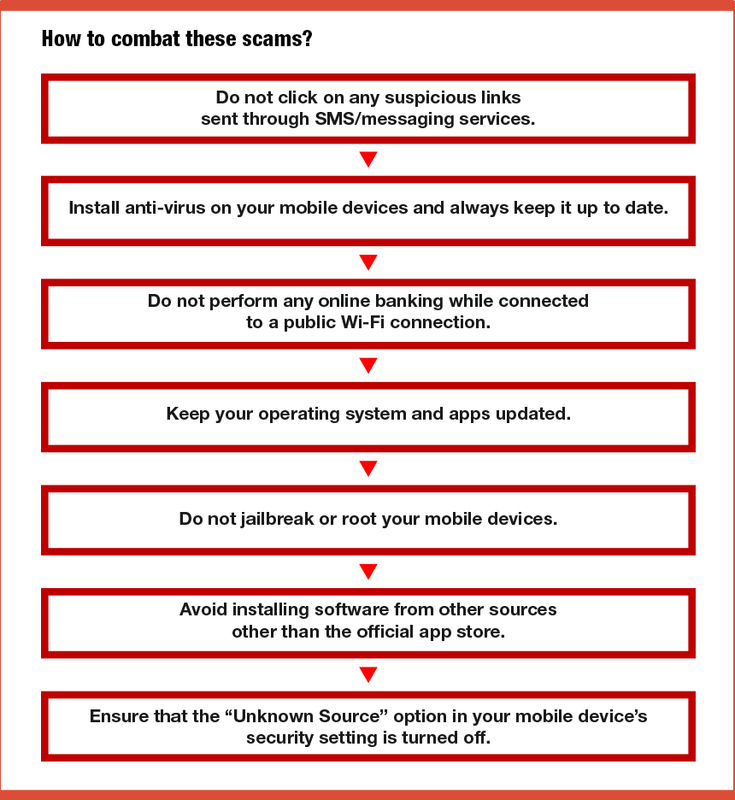 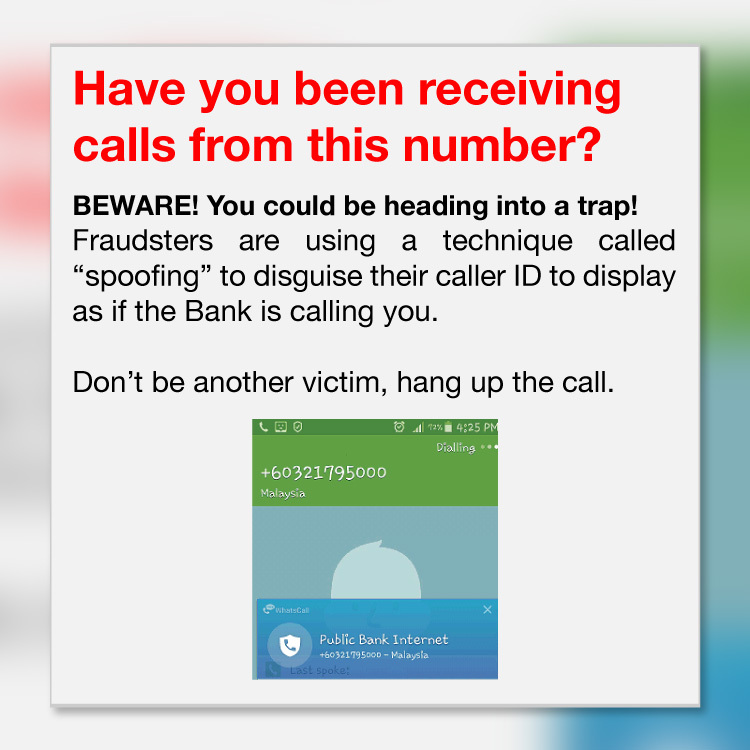 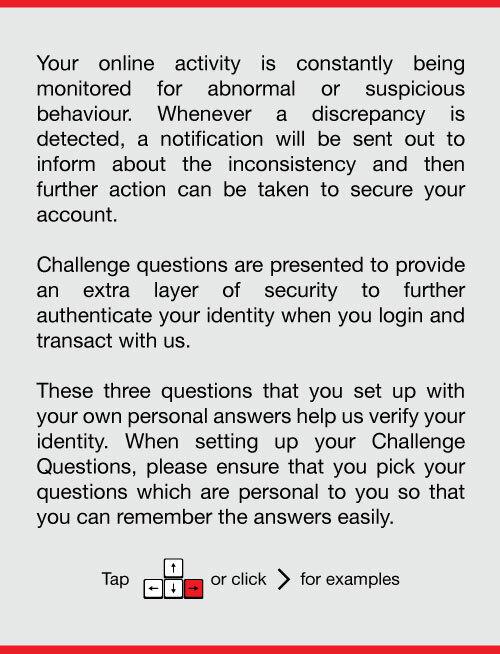 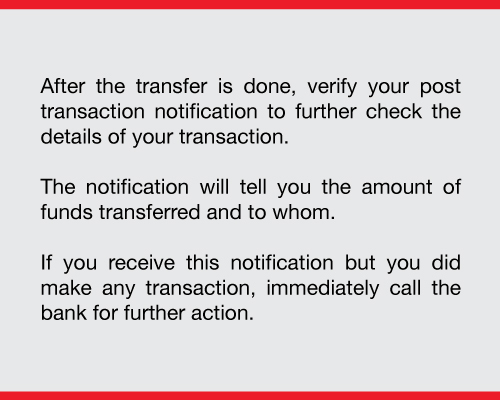 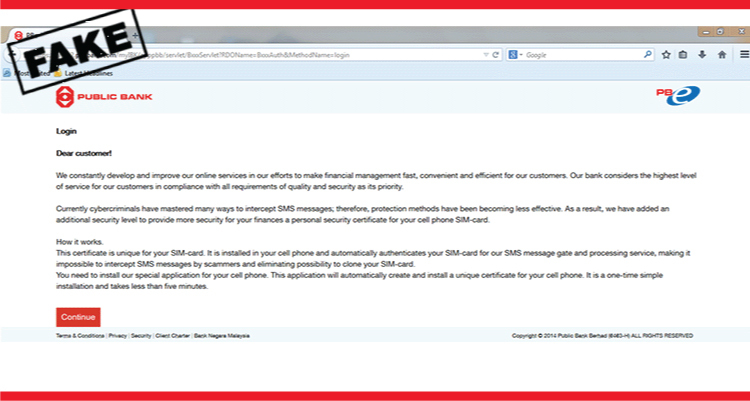 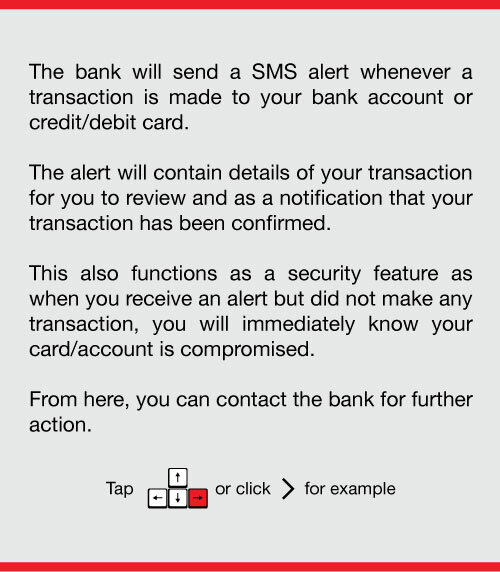 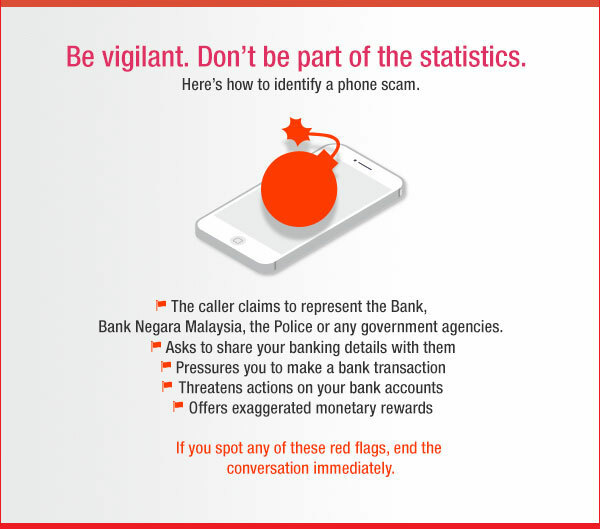 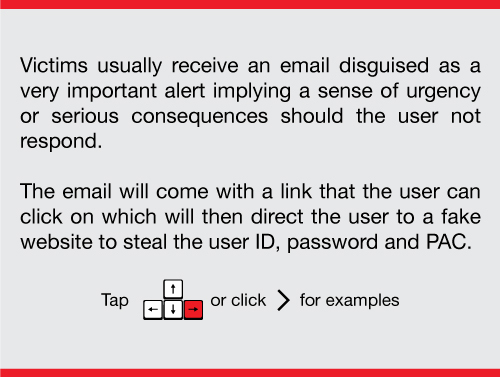 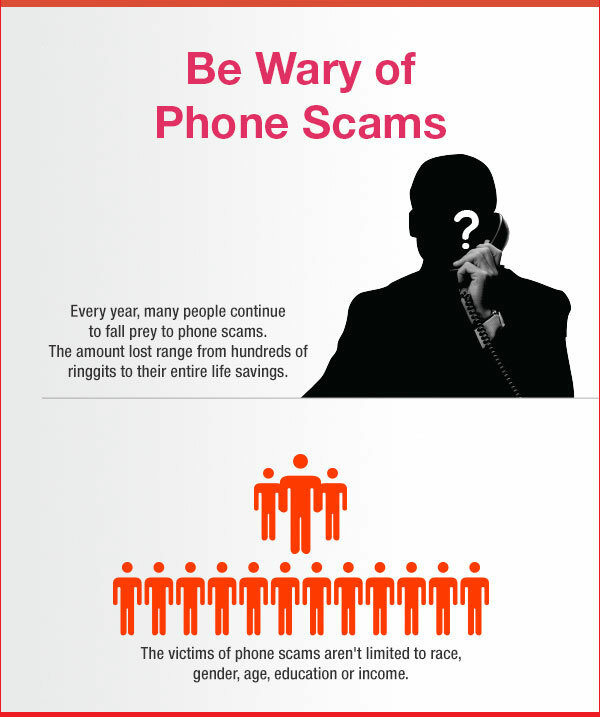 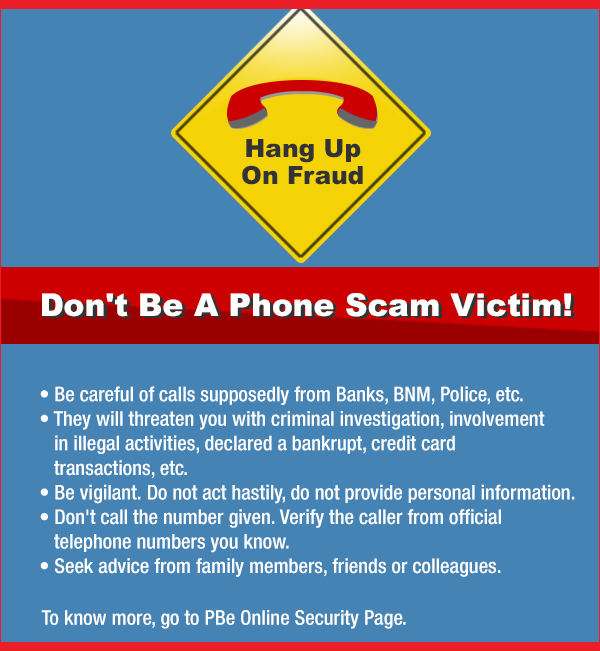 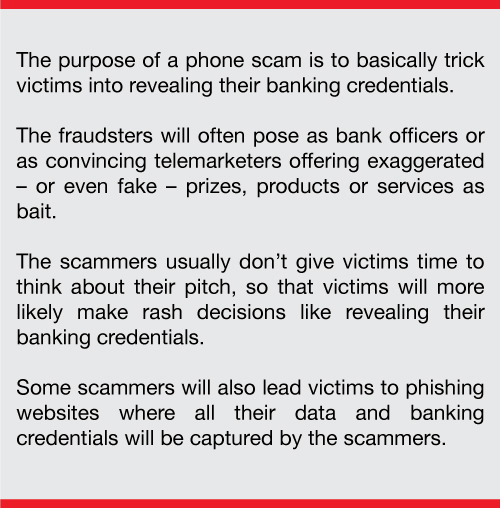 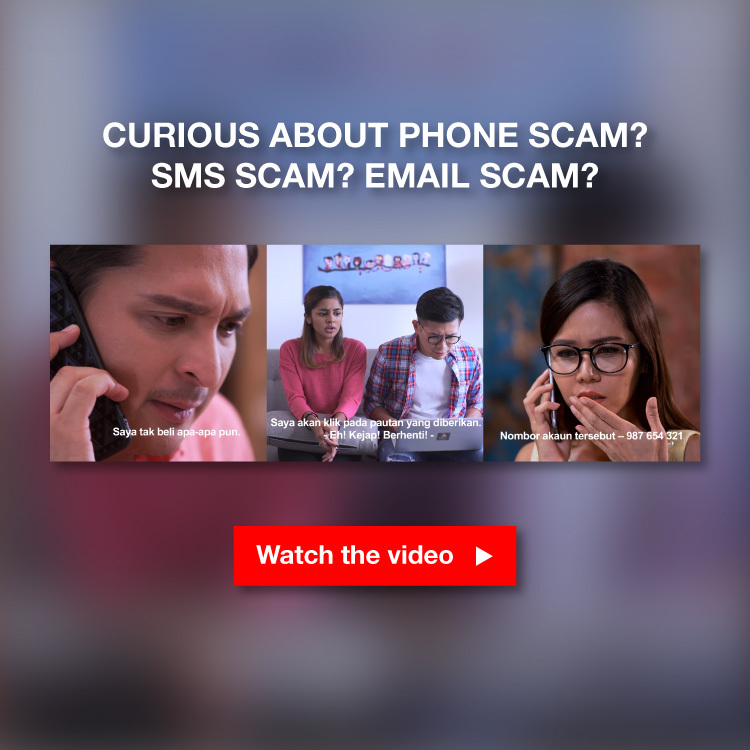 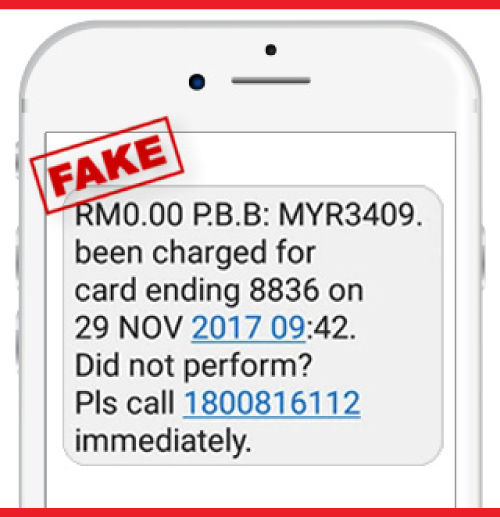 A technique used by phone scammers to imitate banks and other organisations. 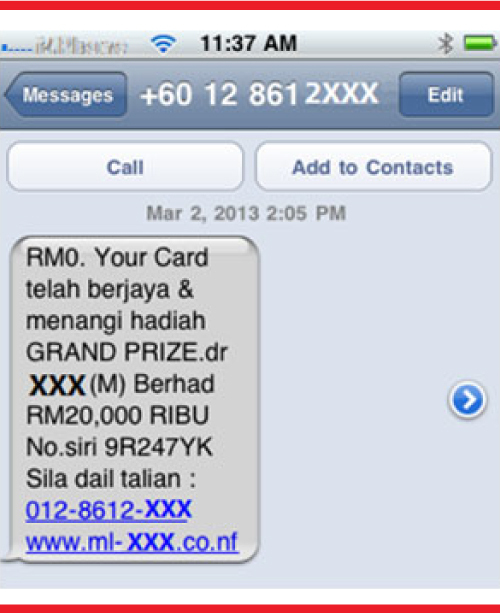 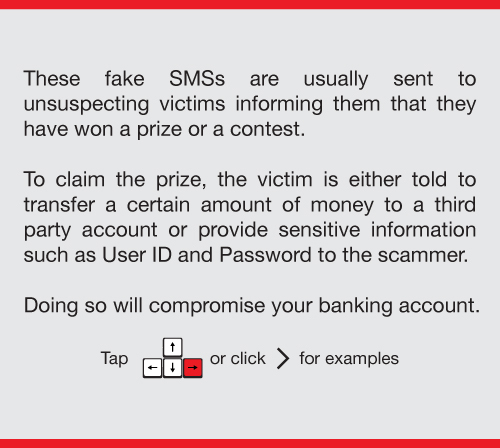 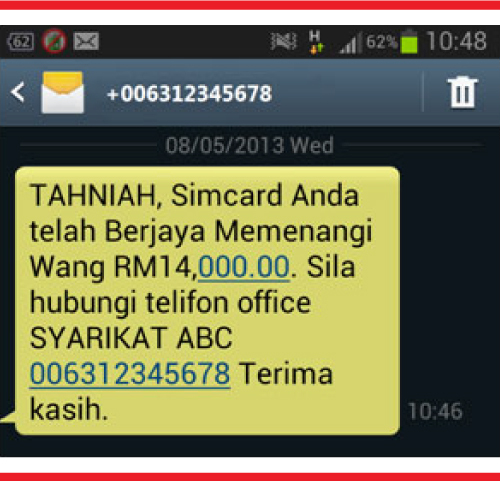 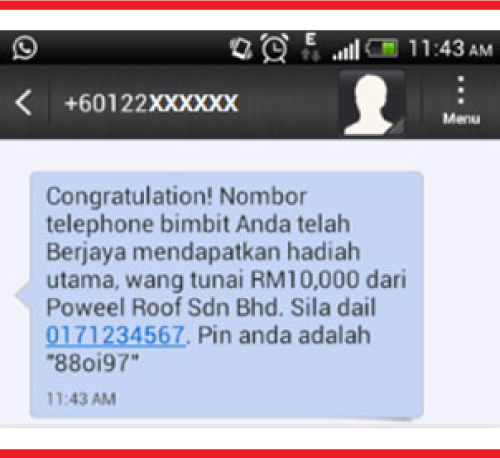 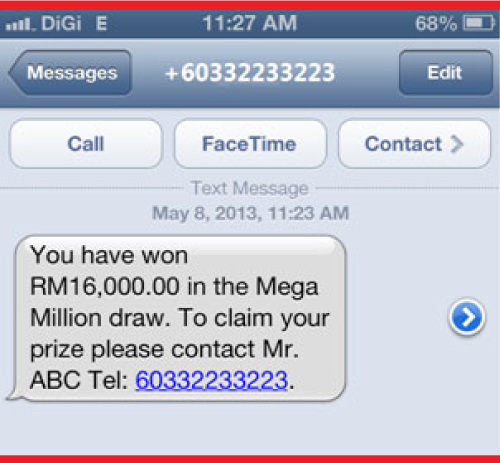 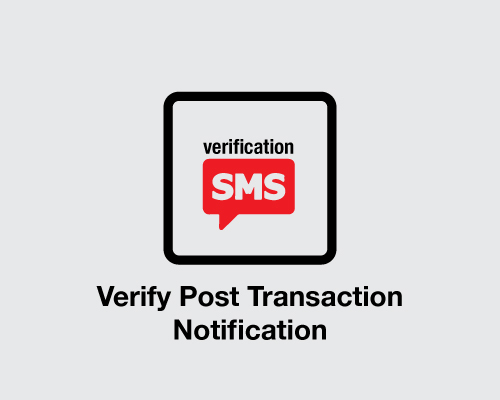 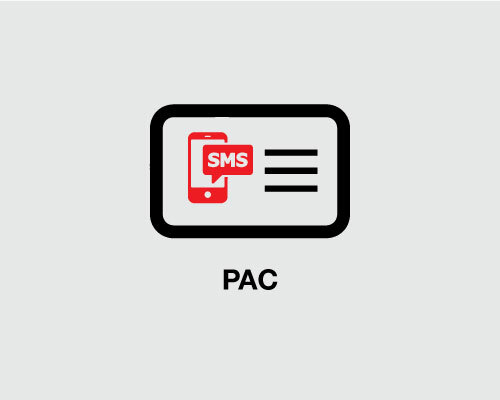 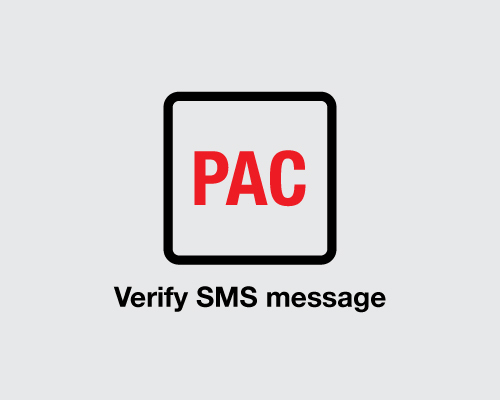 These fraudulent SMS are usually sent to unsuspecting victims informing them that they have won a prize or a contest. 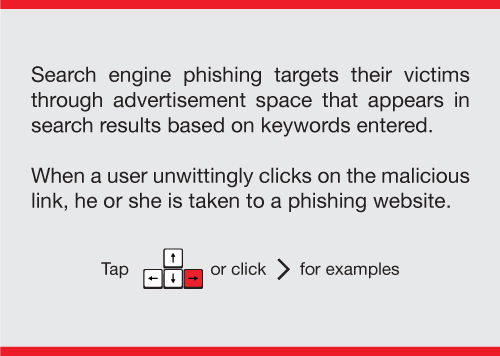 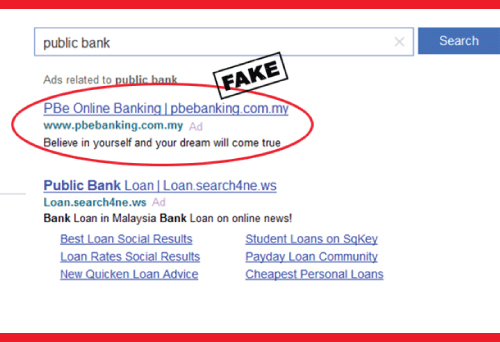 These scams target their victims through advertisements that appears on search results based on keywords entered. 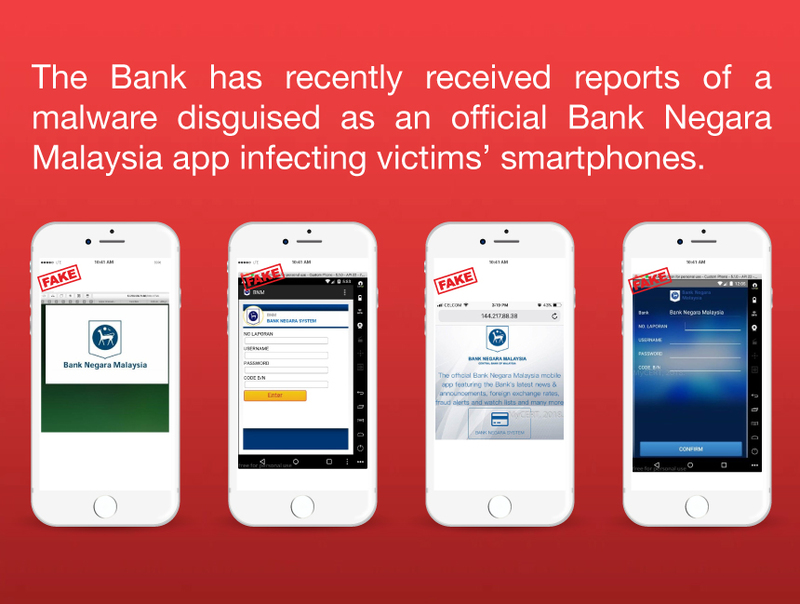 Victims will get a phone call purportedly from banks and government organisations. 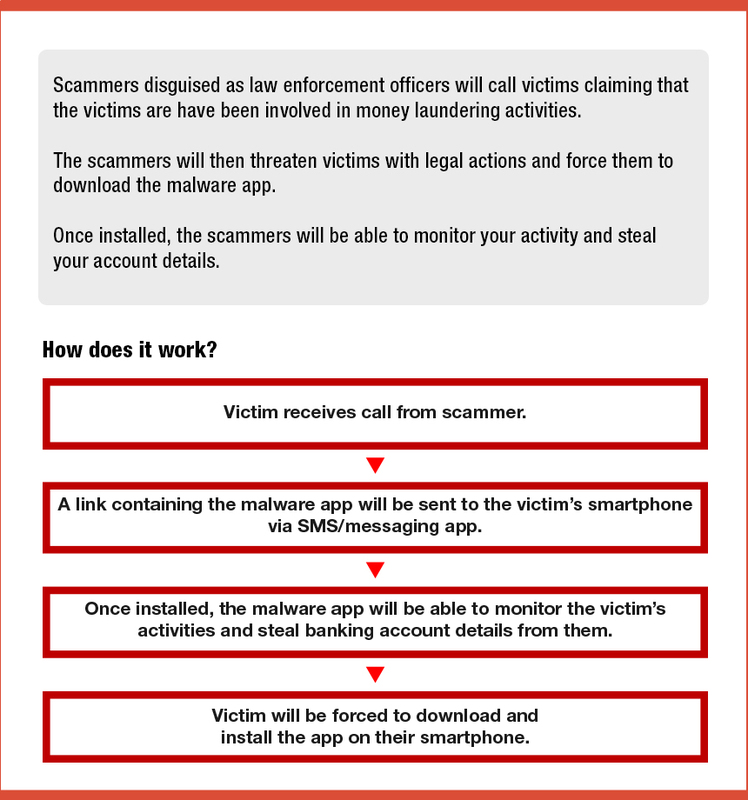 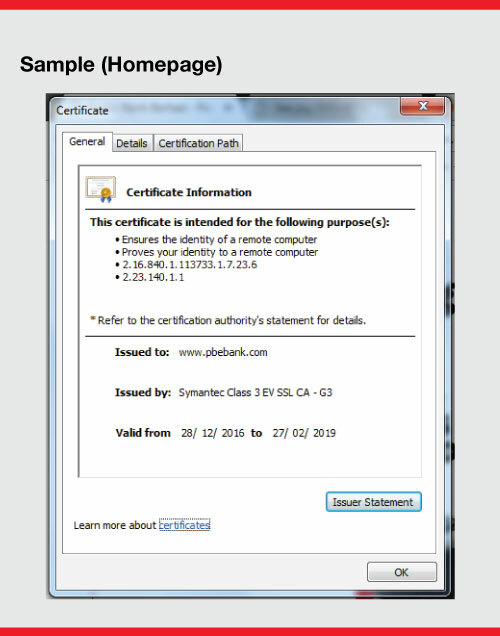 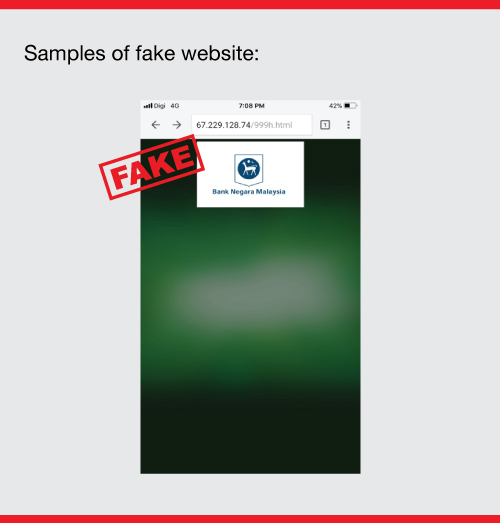 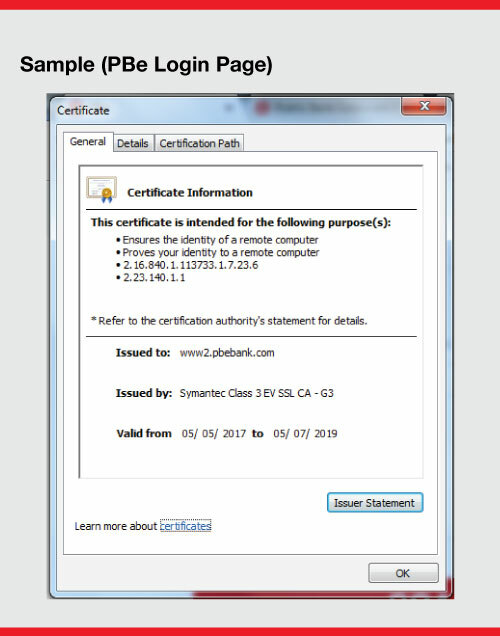 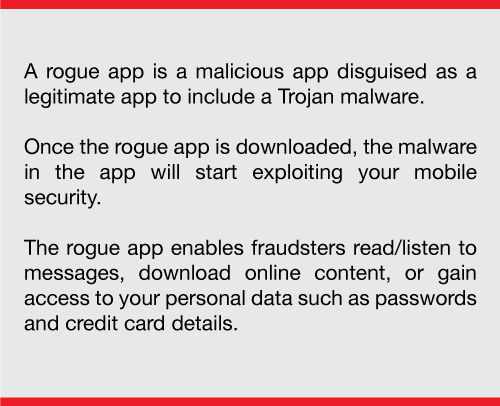 A rogue app is a malicious app disguised as a legitimate app to include a Trojan malware. 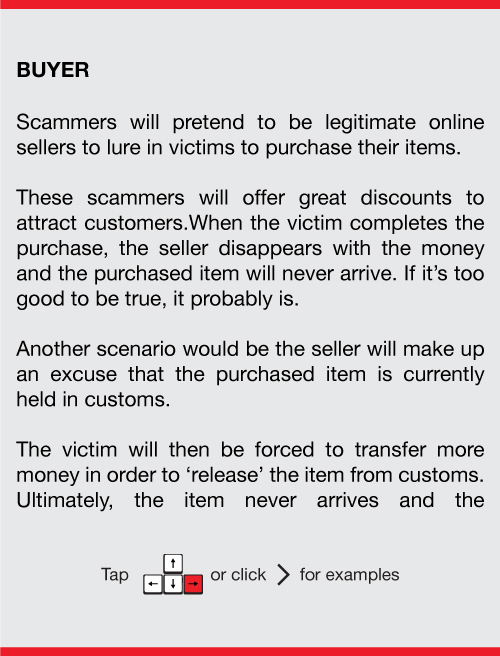 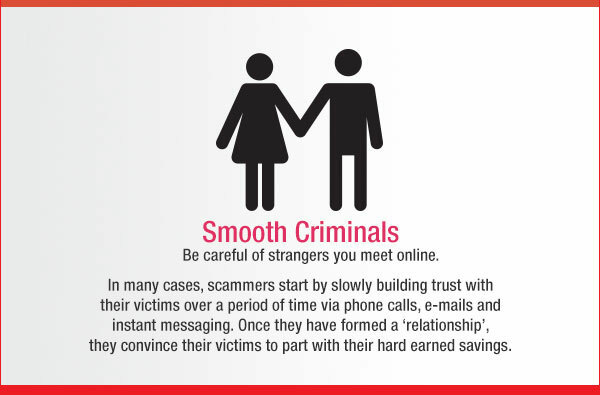 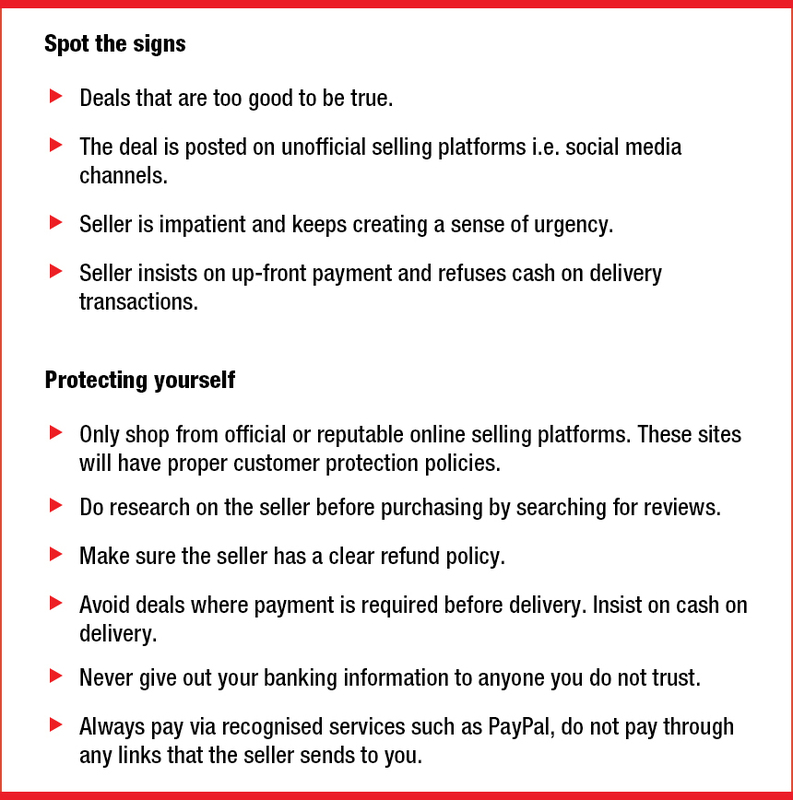 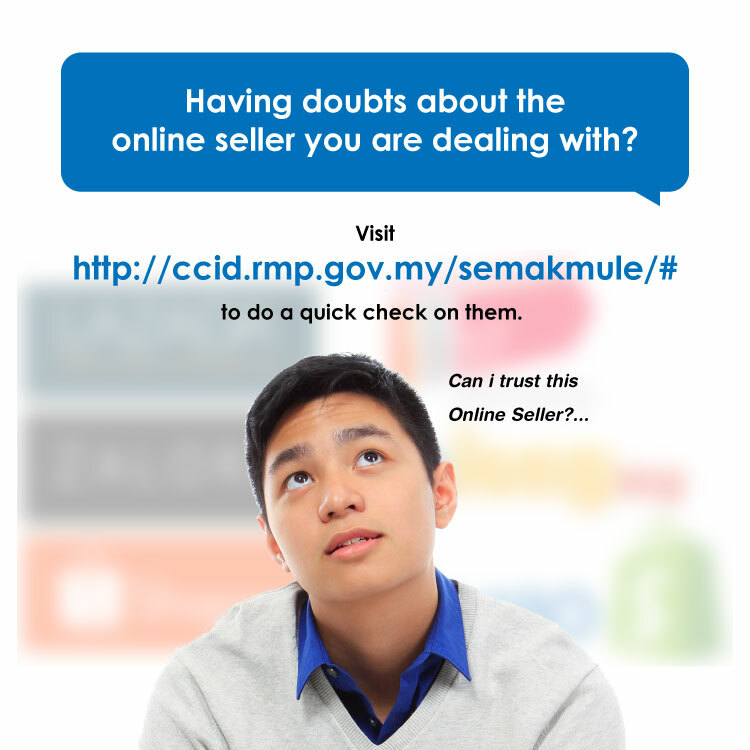 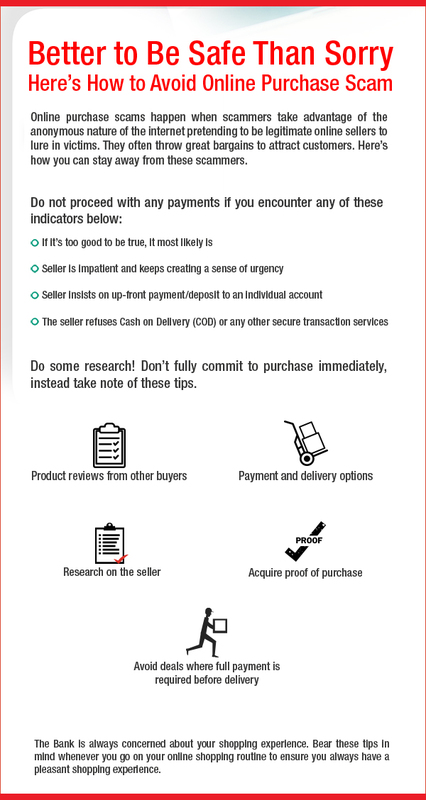 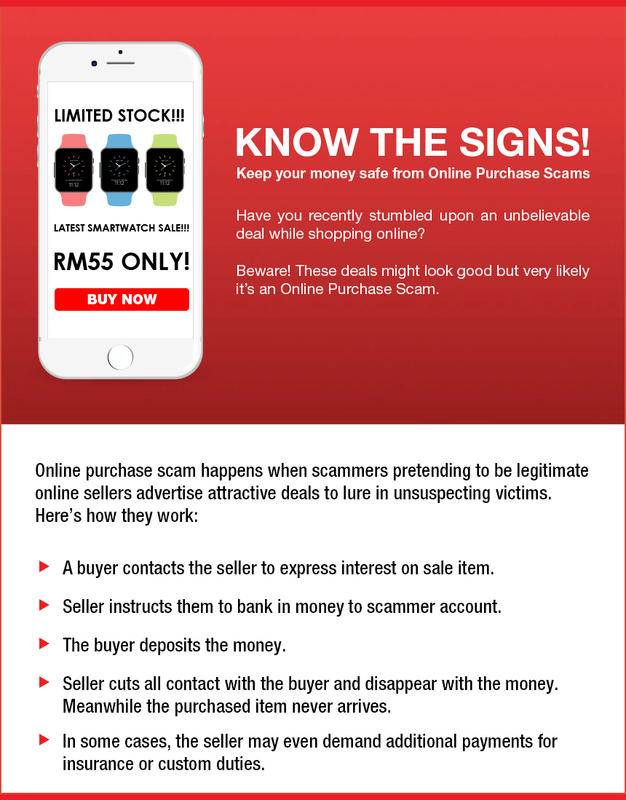 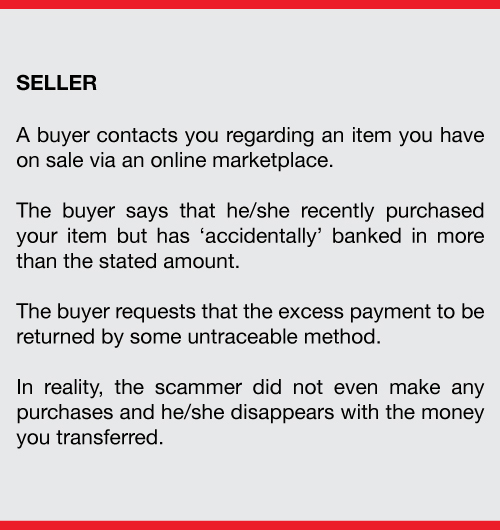 Scammers will pretend to be legitimate online sellers to lure in victims to purchase their items. 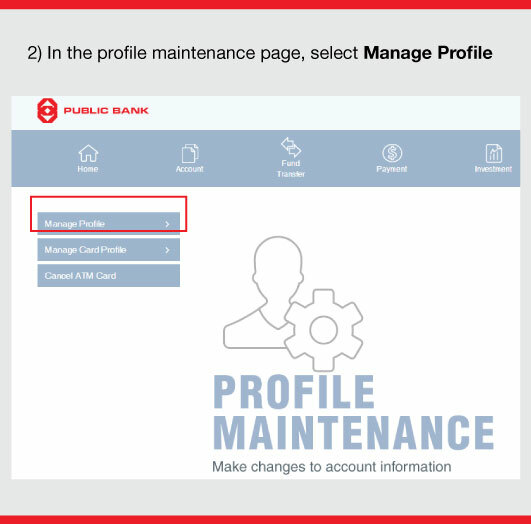 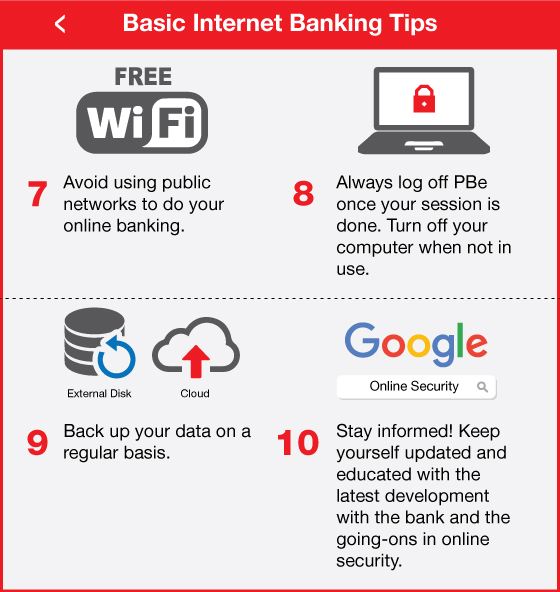 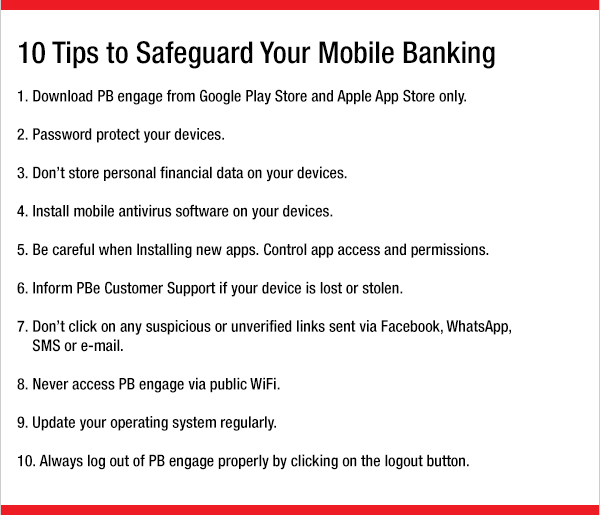 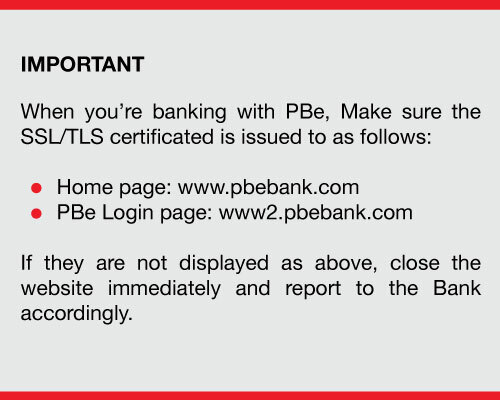 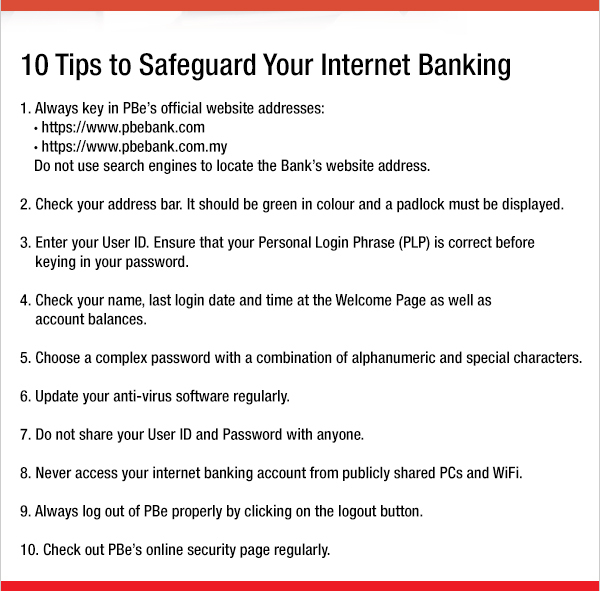 Here at Public Bank the security of your internet and mobile banking is of the utmost concern to us. 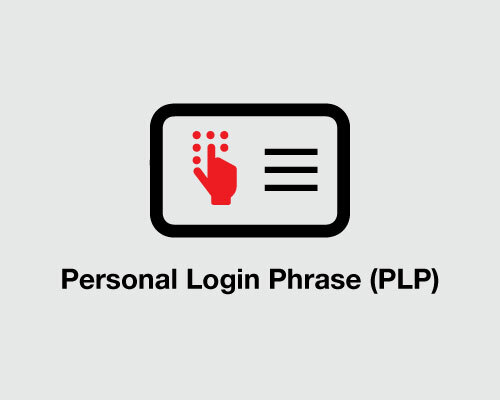 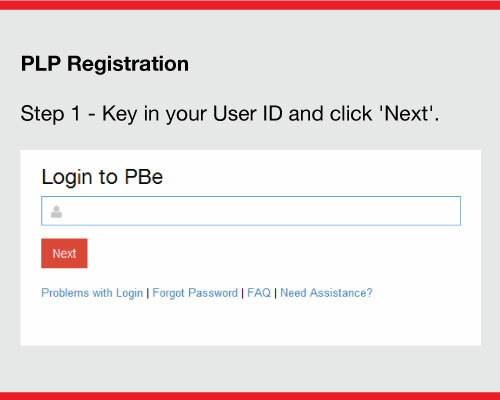 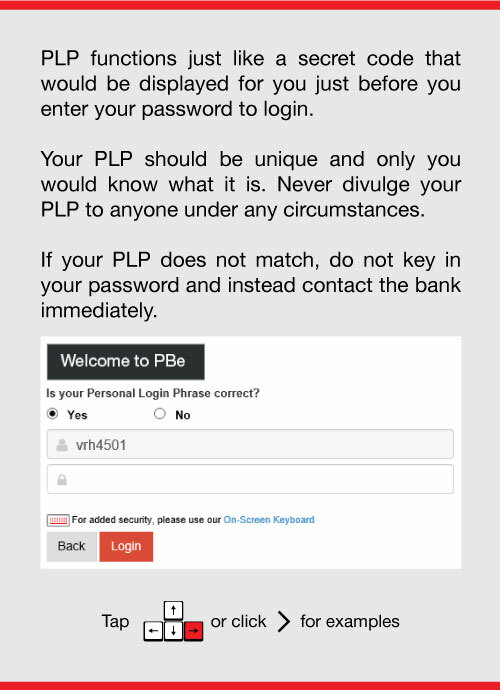 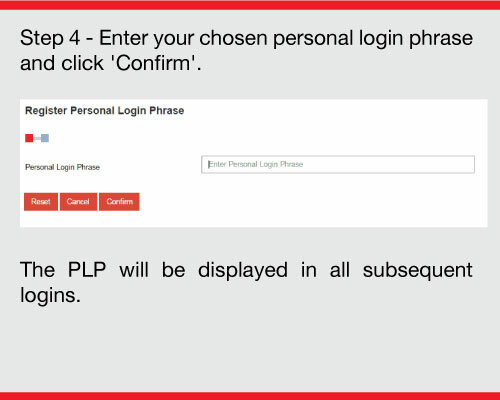 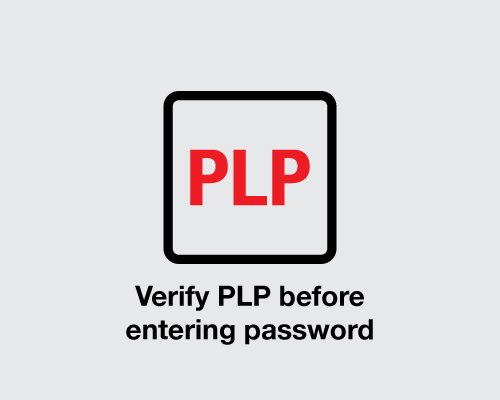 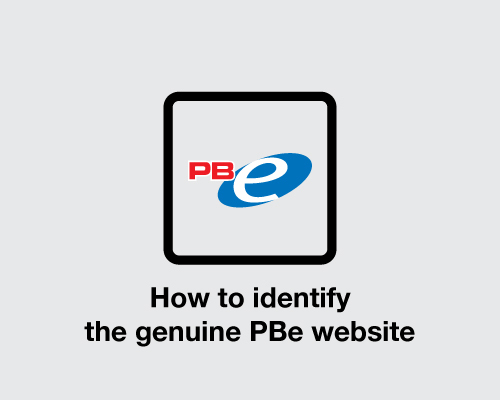 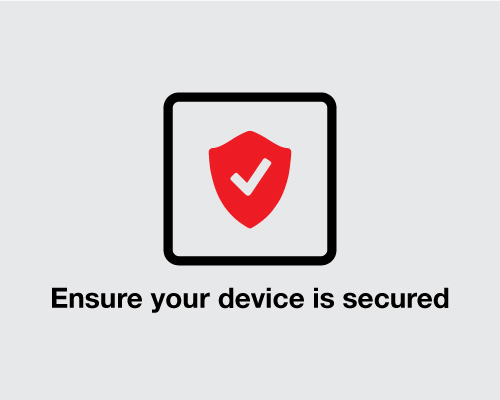 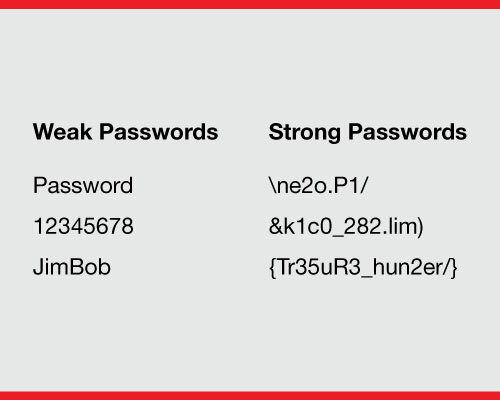 With this in mind, we are committed to provide high standards of online security and confidentiality to ensure full confidence whenever you use PBe and PB engage. 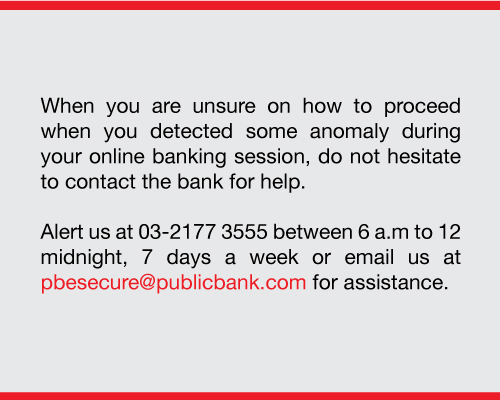 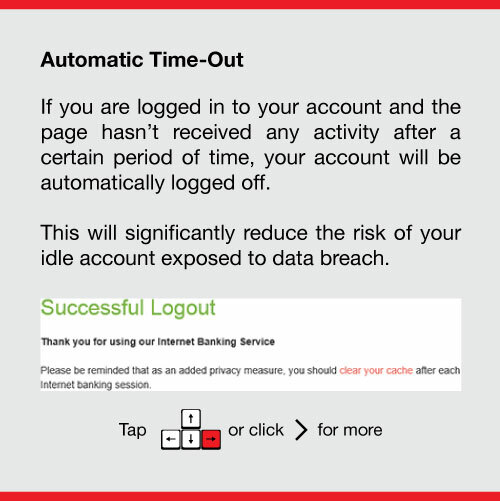 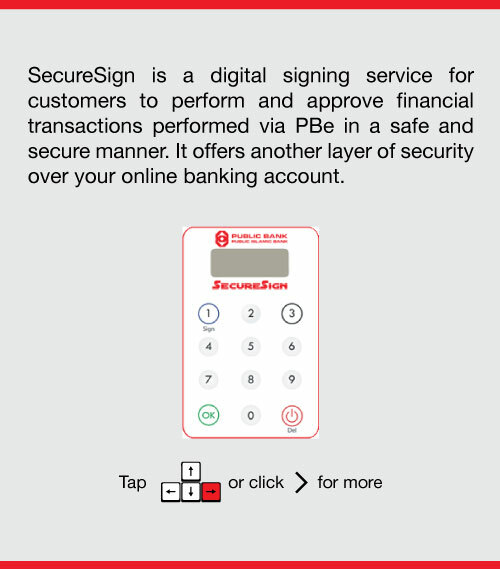 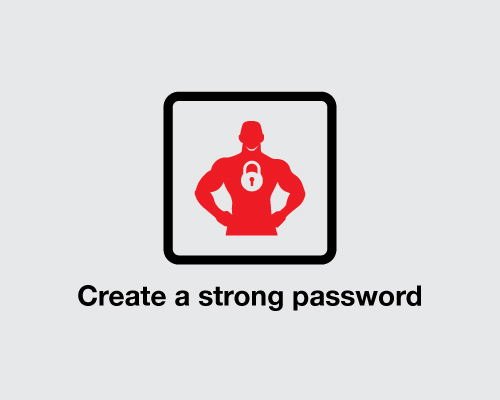 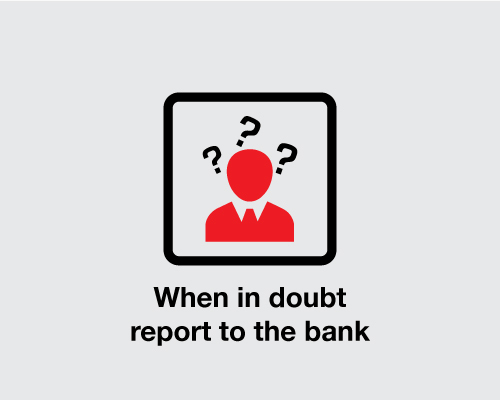 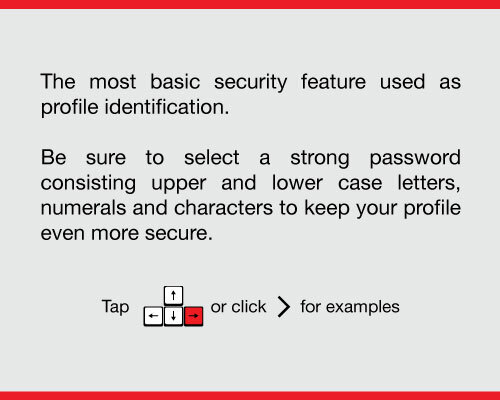 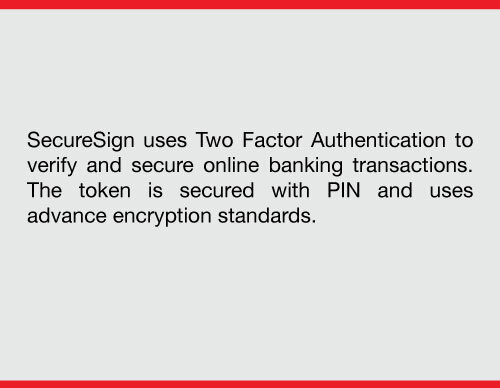 The bank understands your constant concerns about the security and safe keeping of your online account. 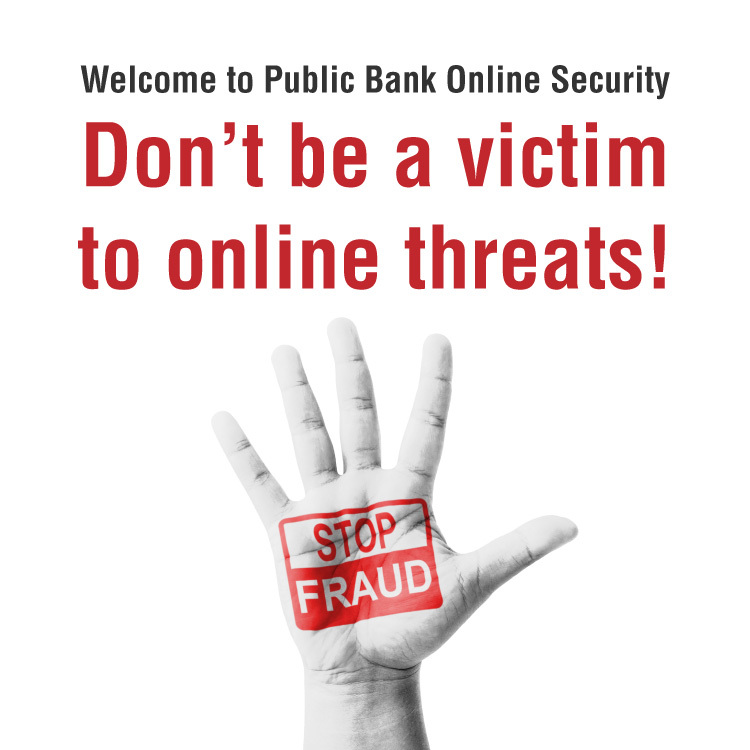 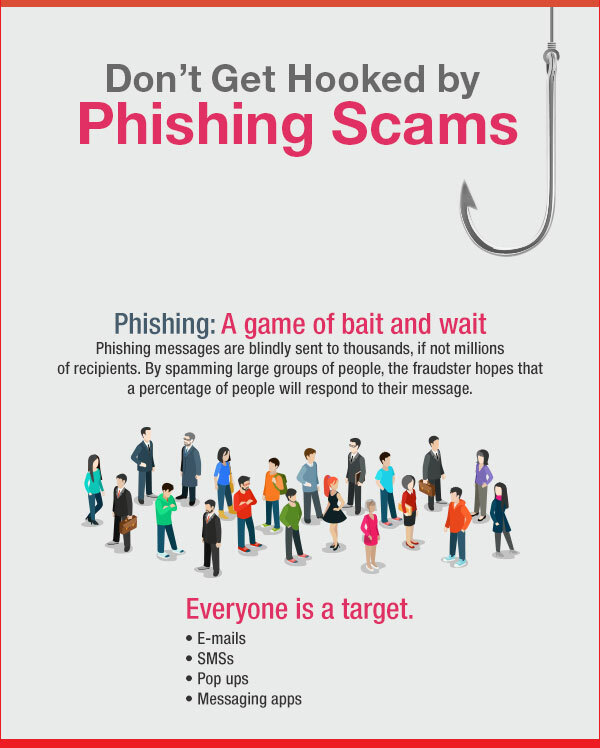 With the rise in online fraud, we recognize our role in culling these incidents. 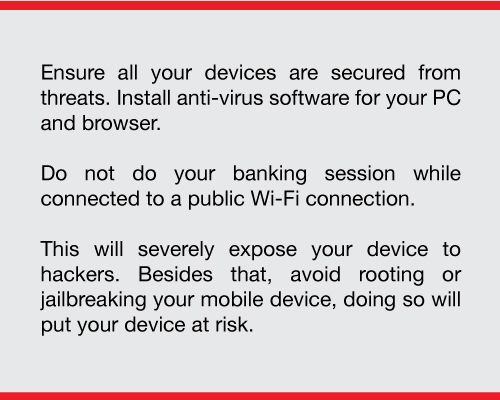 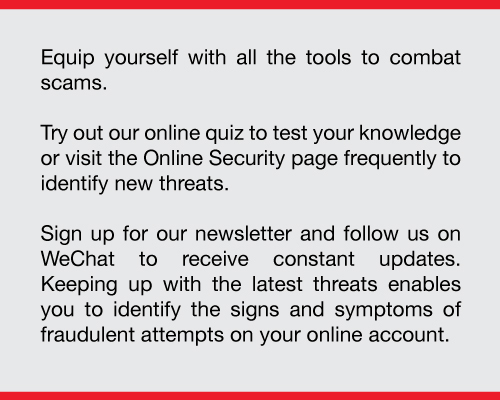 Here are some of the steps and precautions that we take in order to combat these threats. 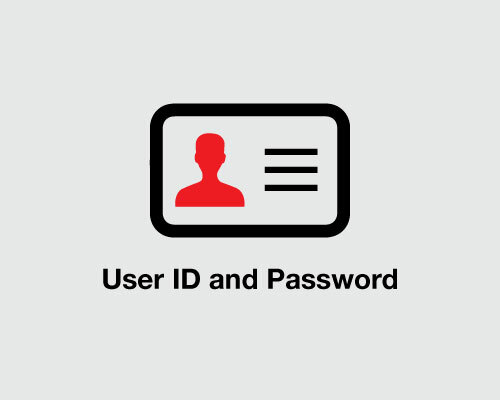 Online security begins and ends with you. 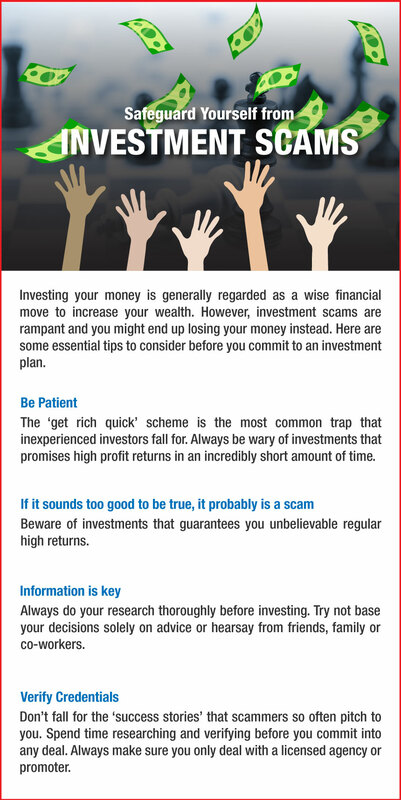 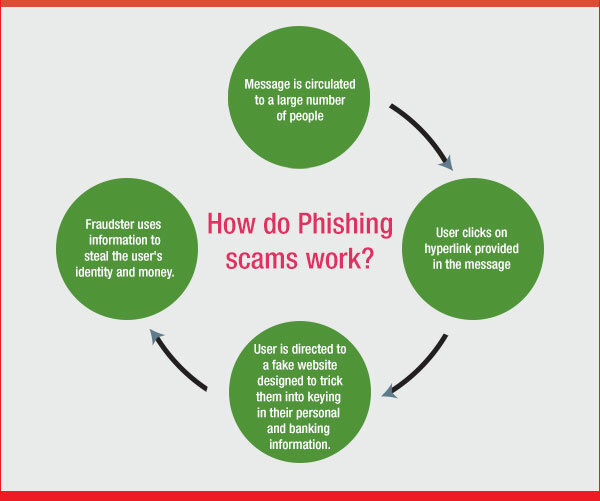 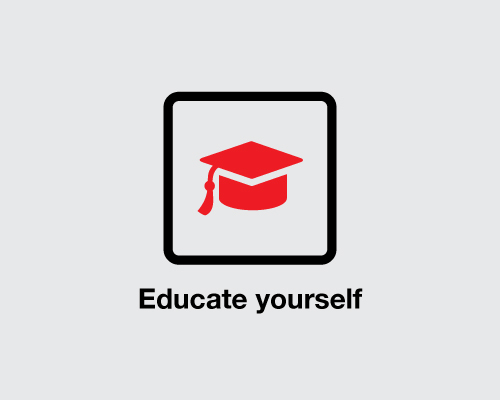 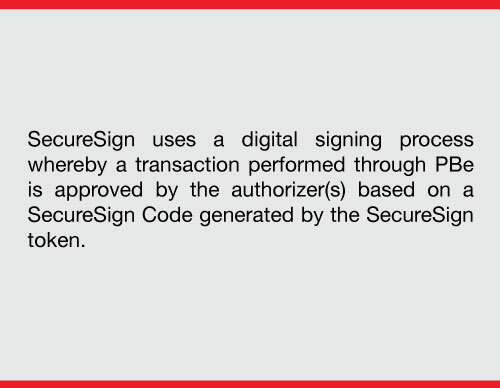 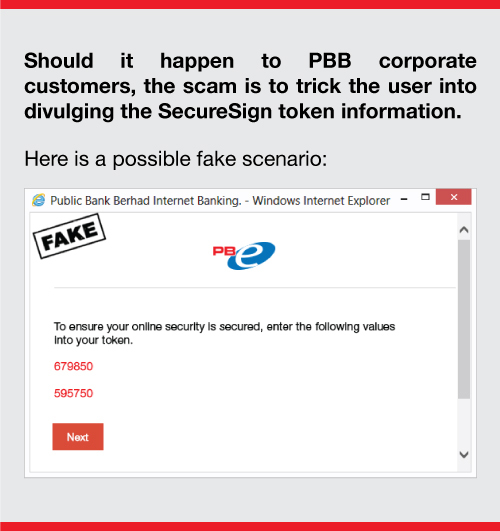 Therefore it is crucial for you to know of the safety measures that you can make by yourself to avoid being scammed. 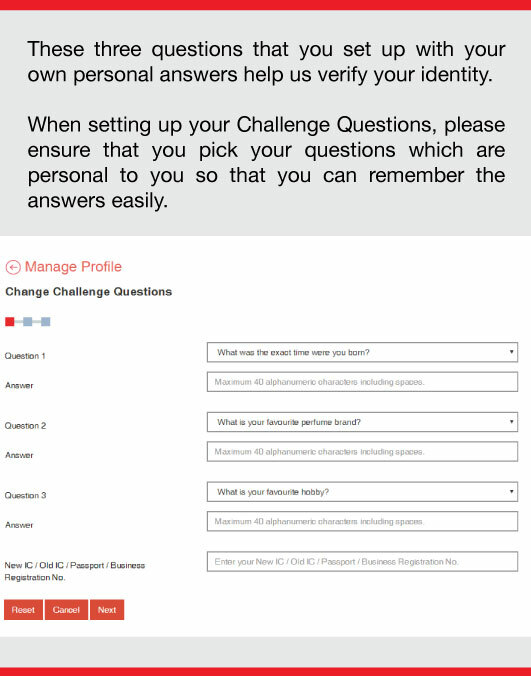 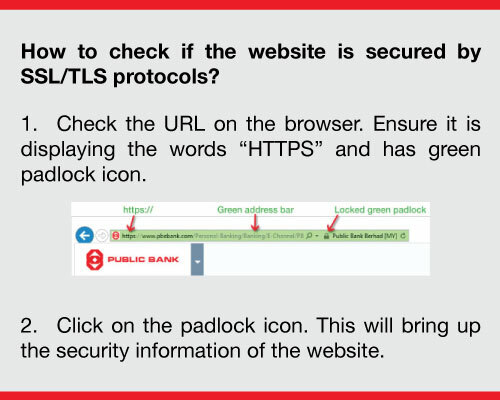 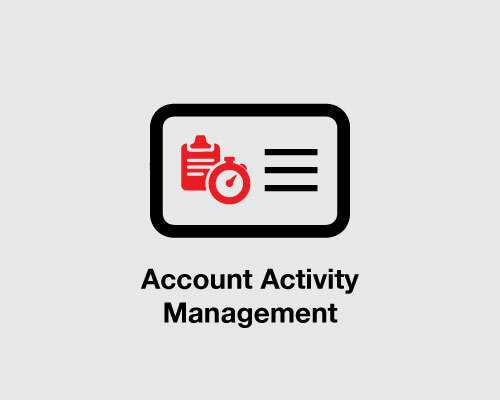 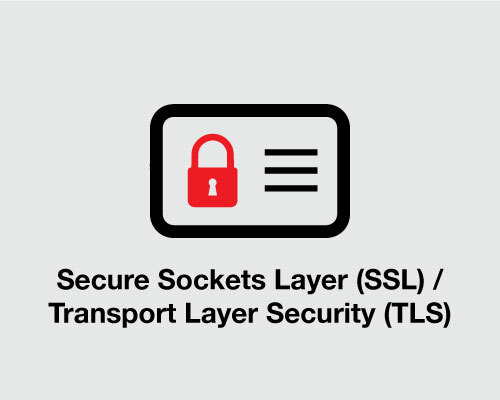 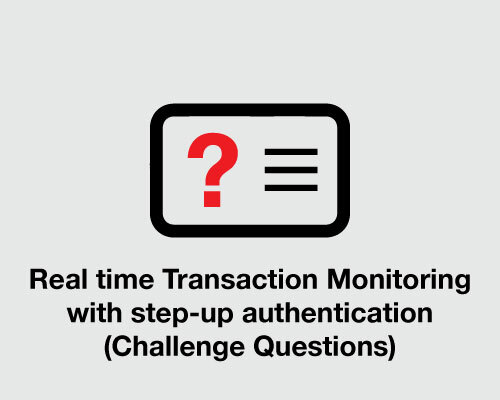 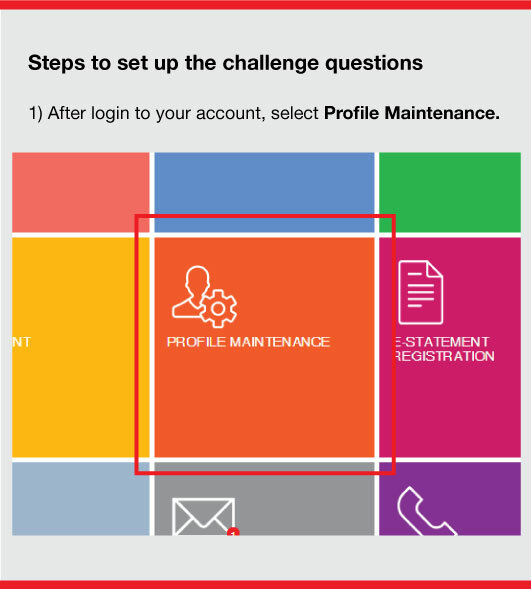 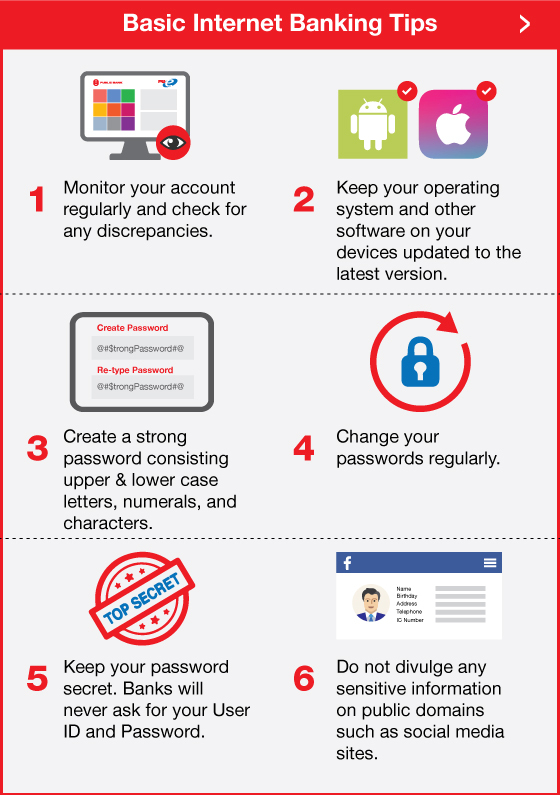 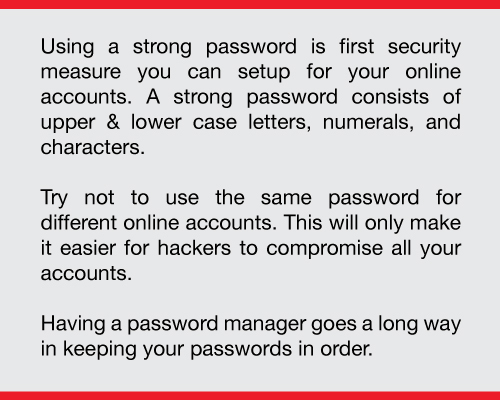 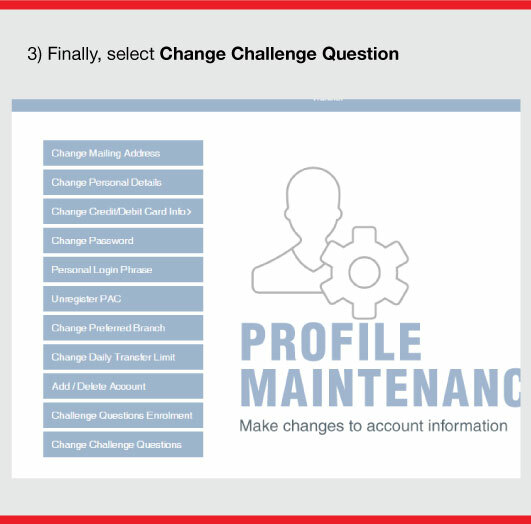 Here are some tips on how you can perform security checks on your end. 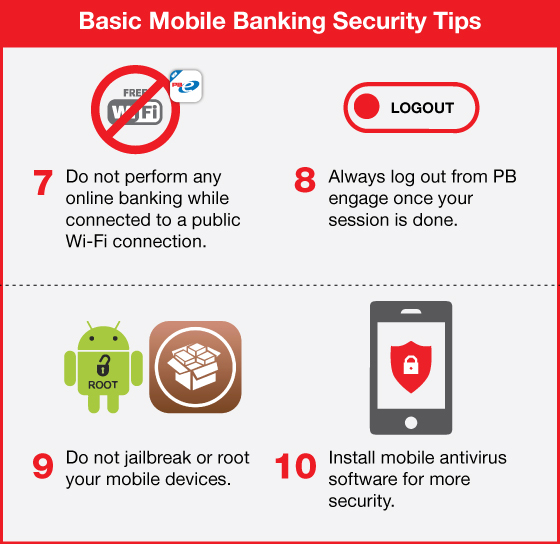 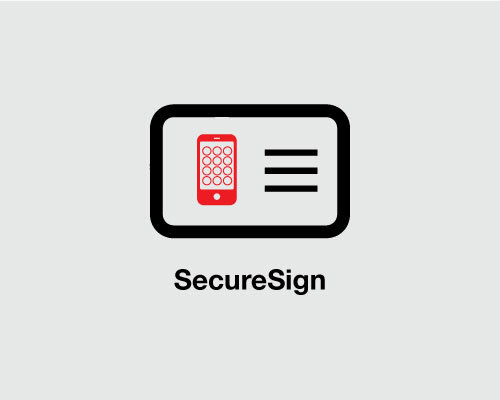 This page is dedicated to provide simple yet effective security tips and information to assist you in becoming a more knowledgeable and security conscious user. 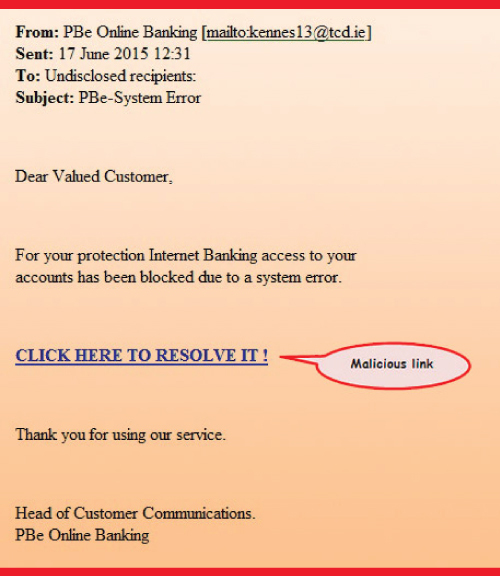 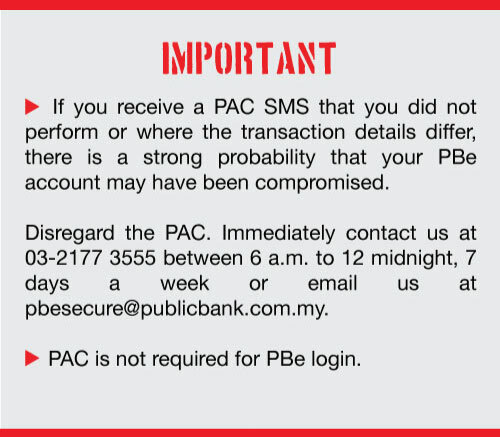 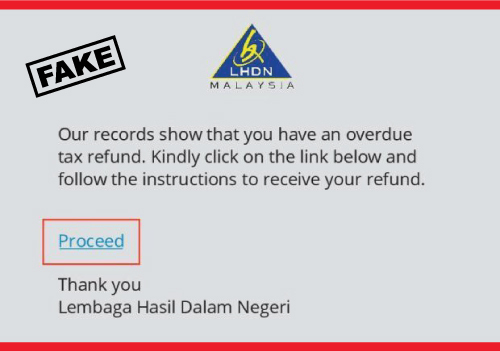 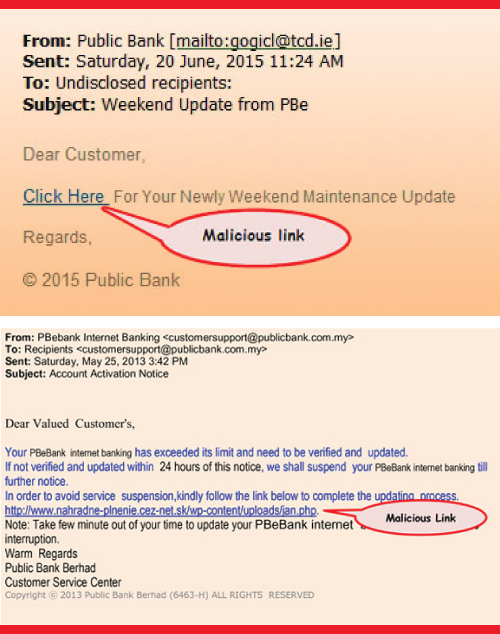 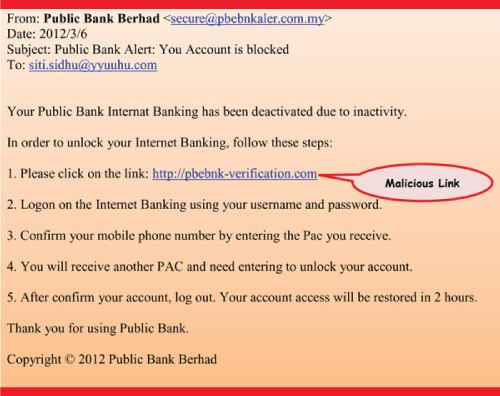 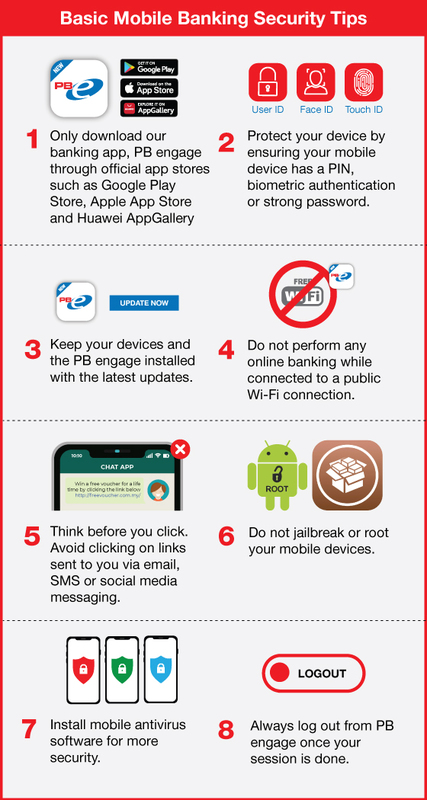 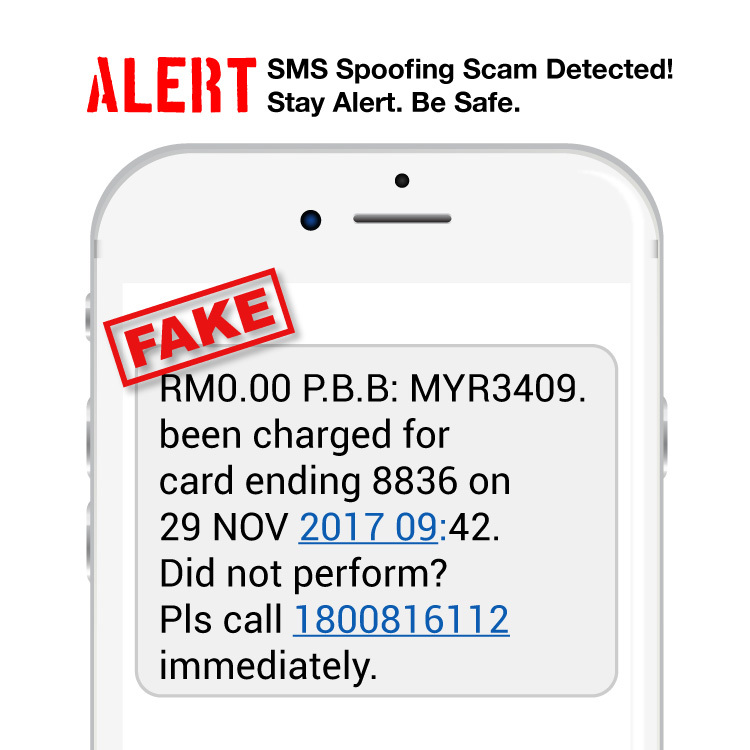 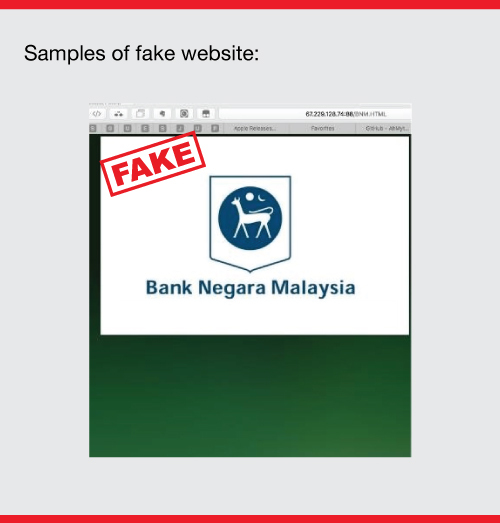 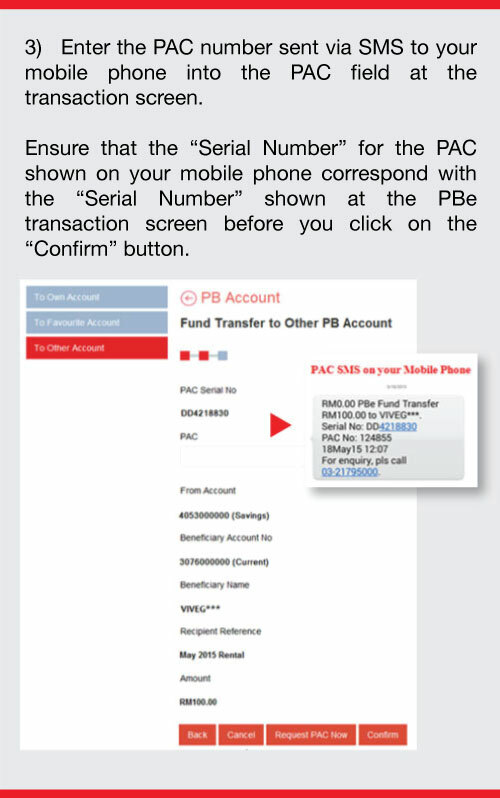 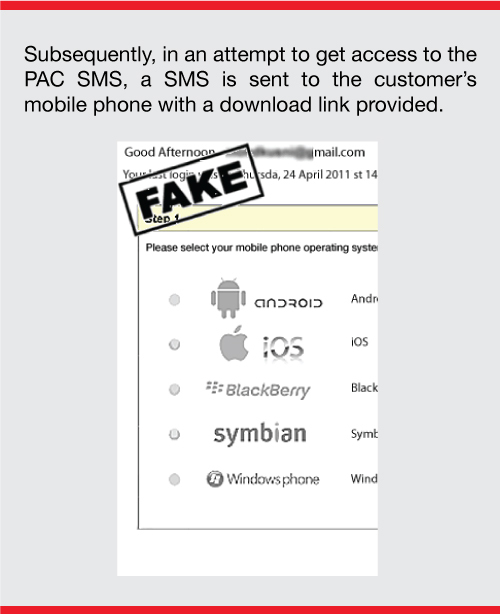 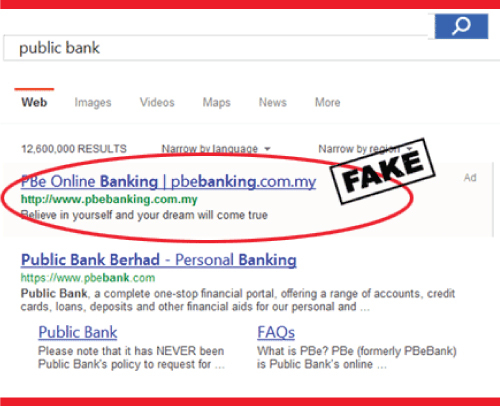 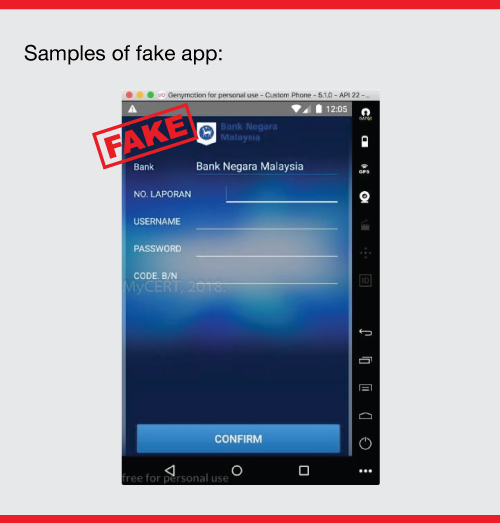 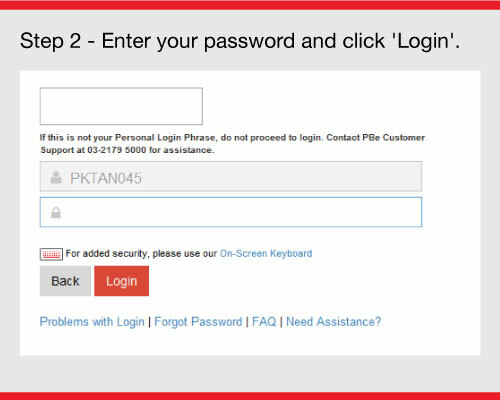 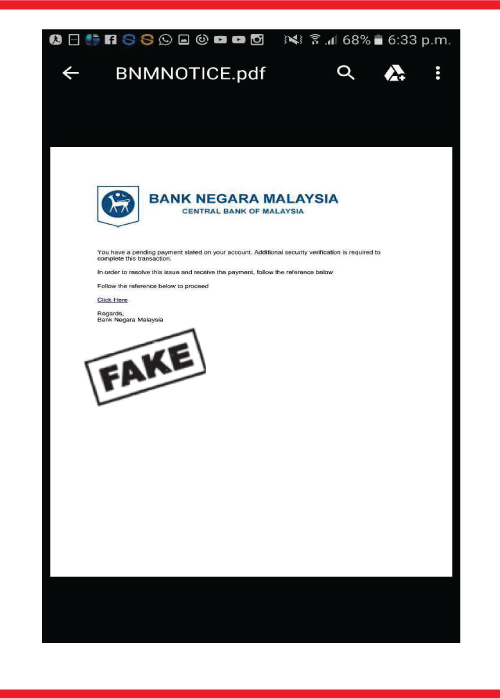 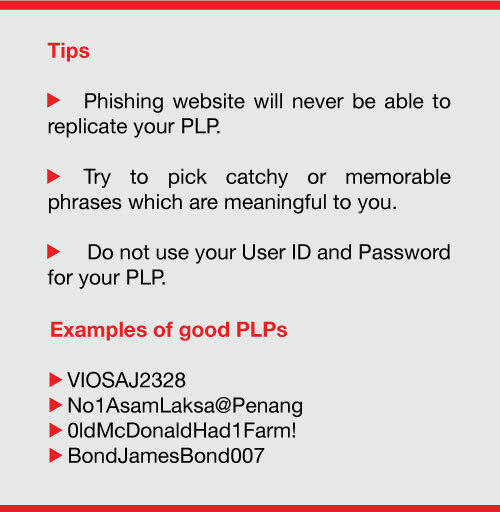 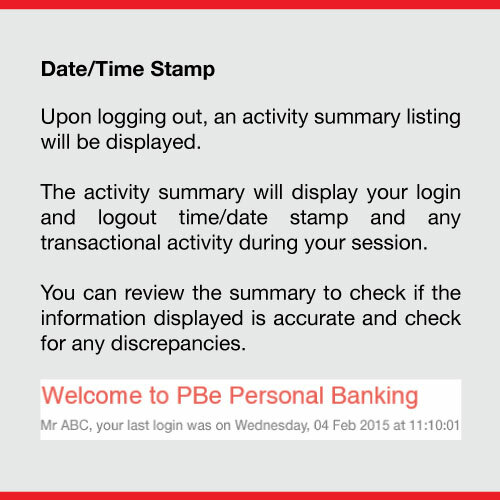 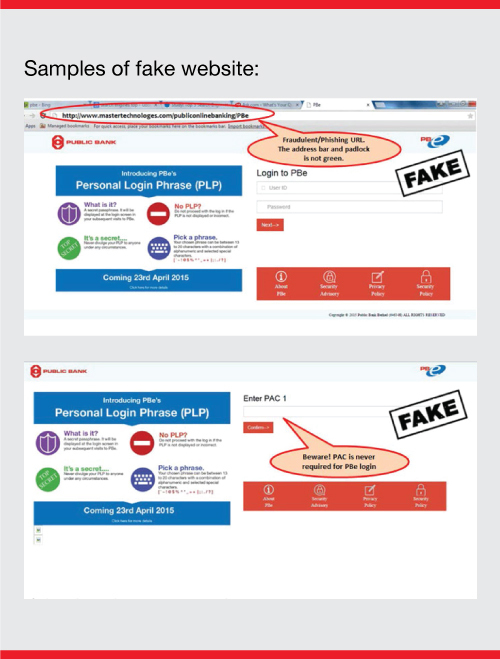 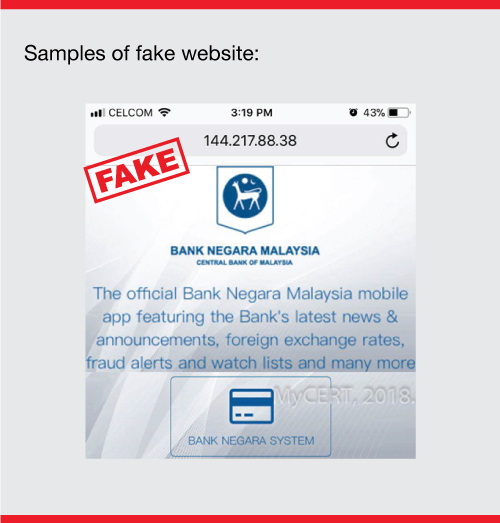 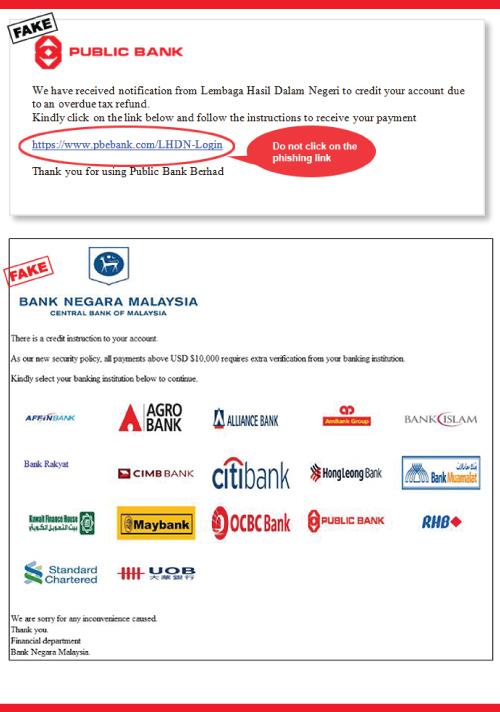 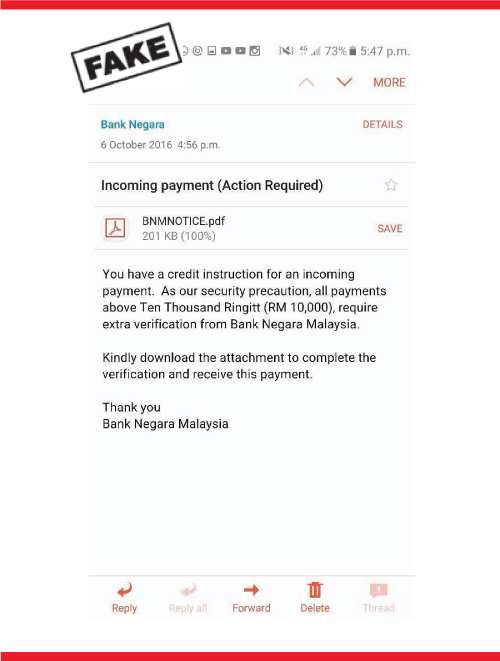 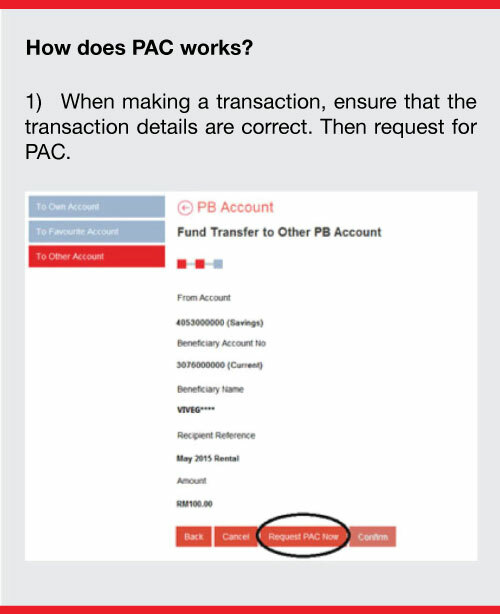 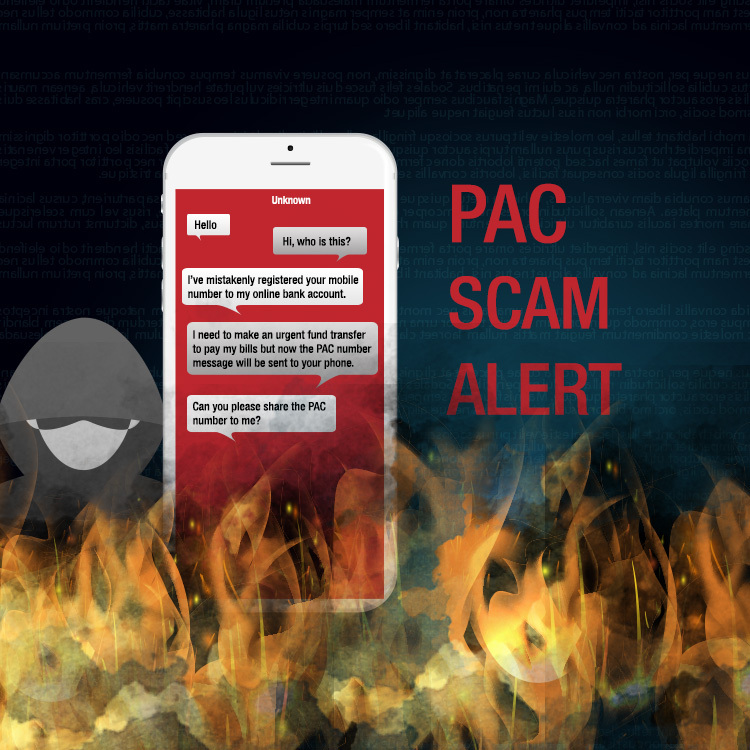 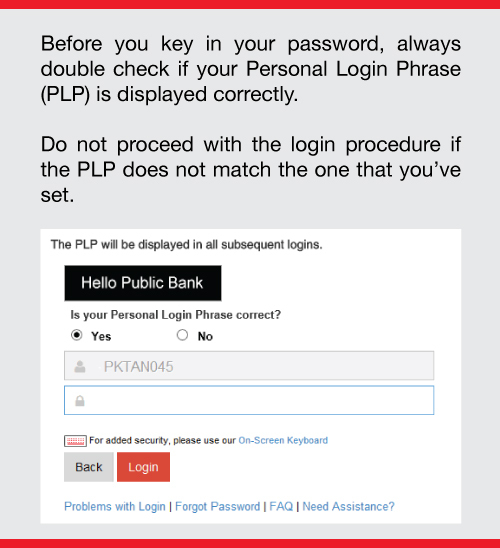 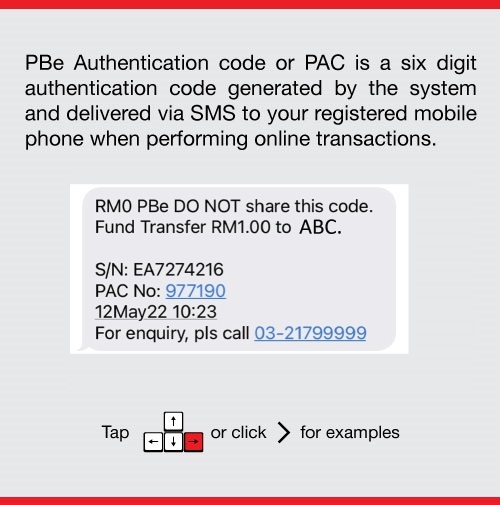 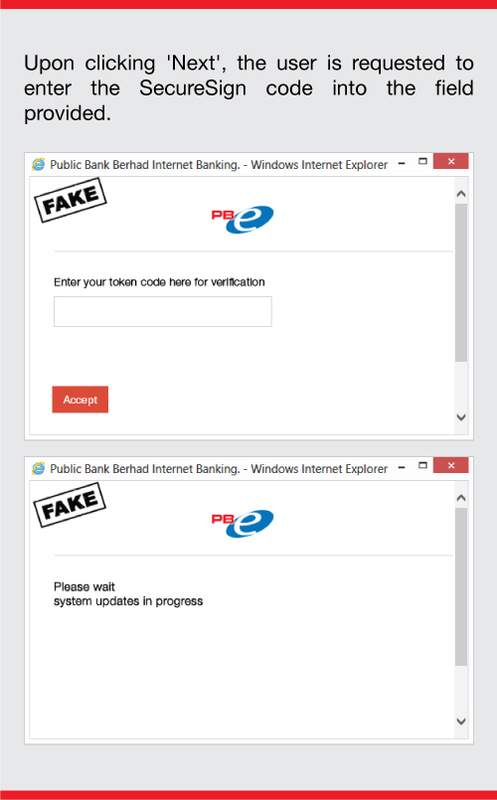 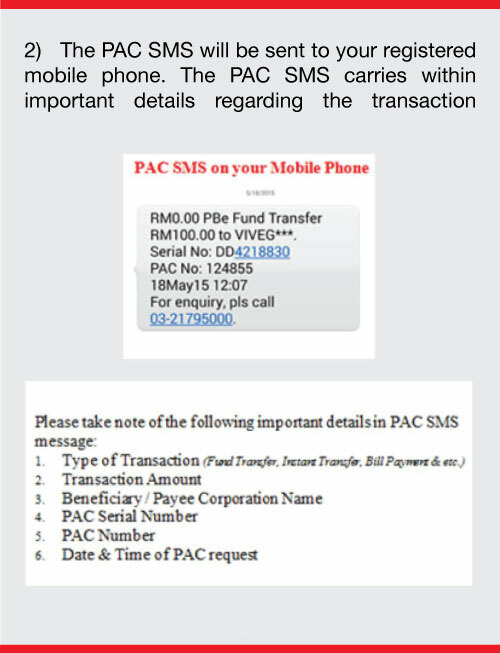 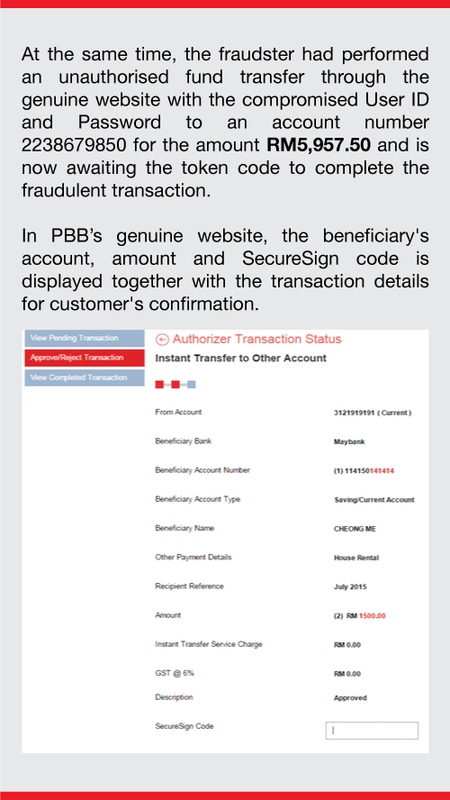 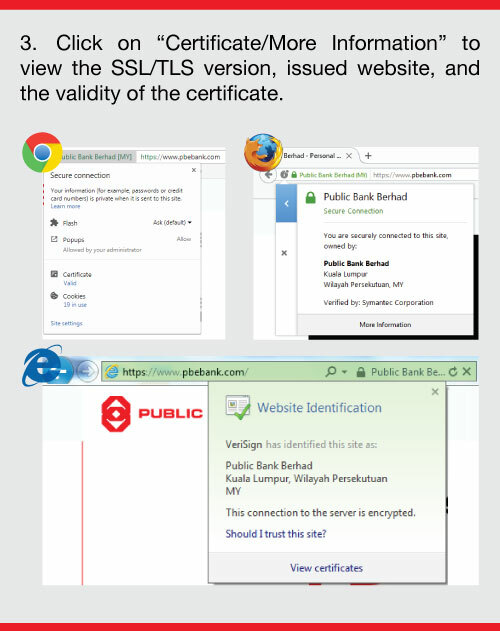 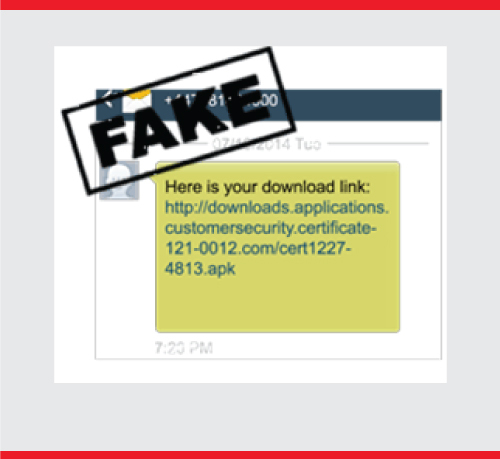 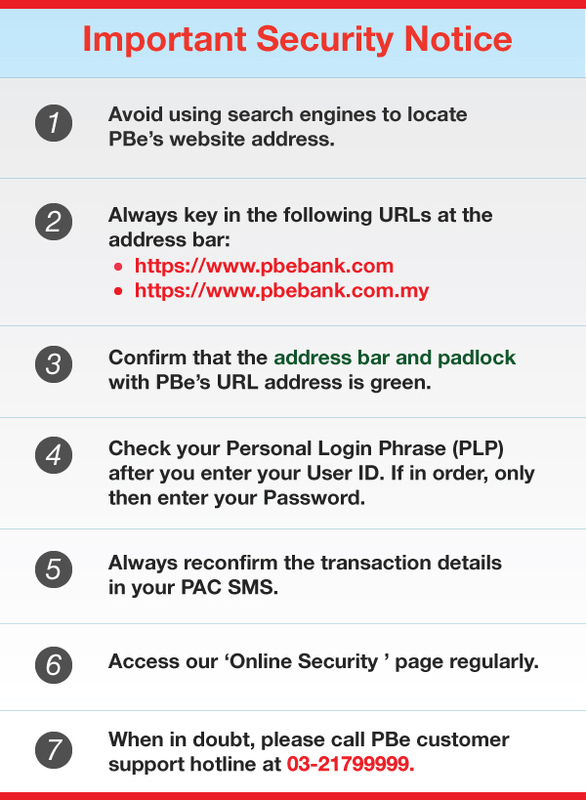 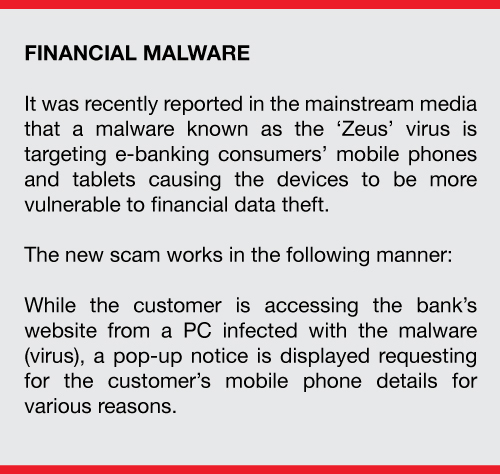 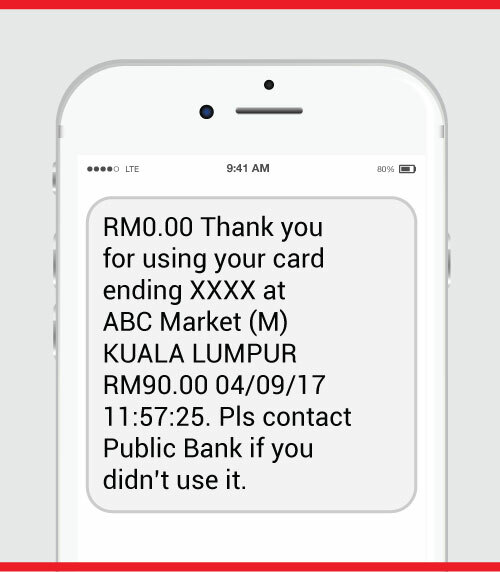 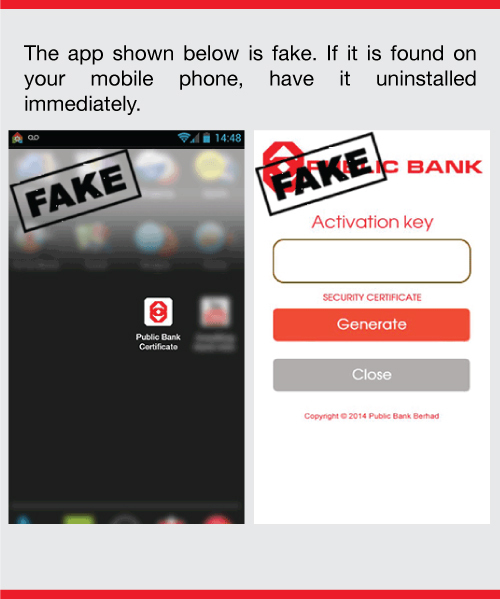 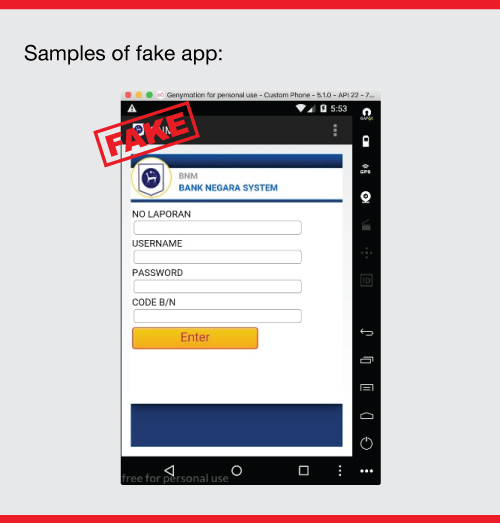 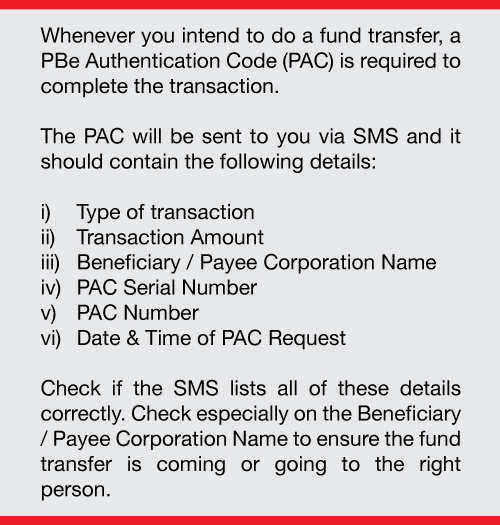 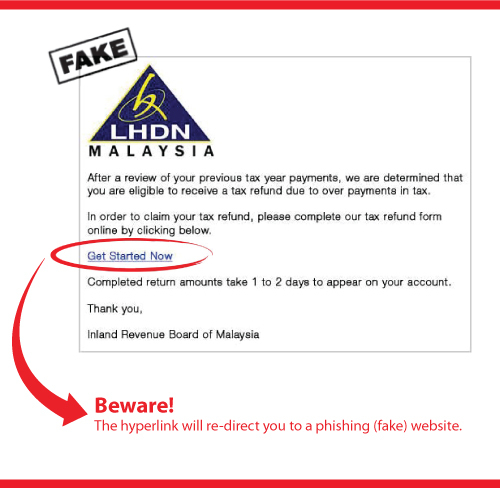 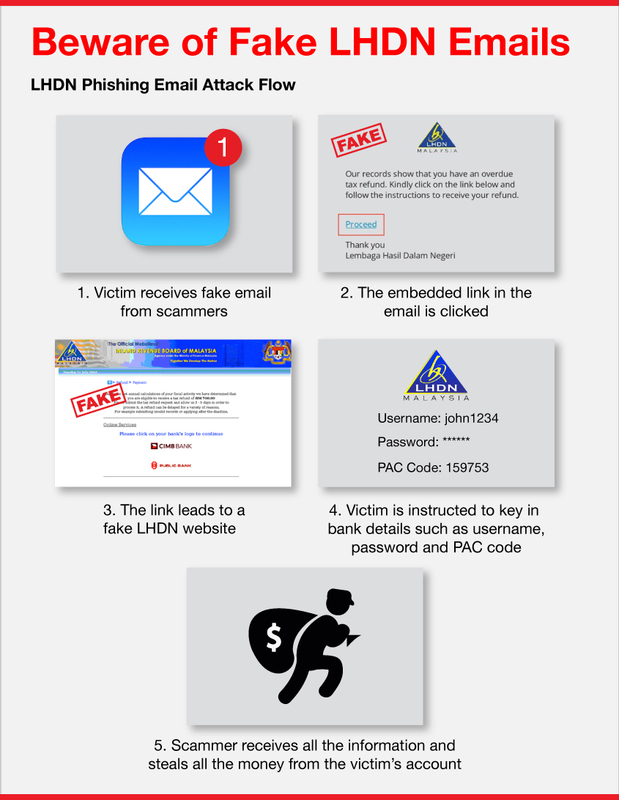 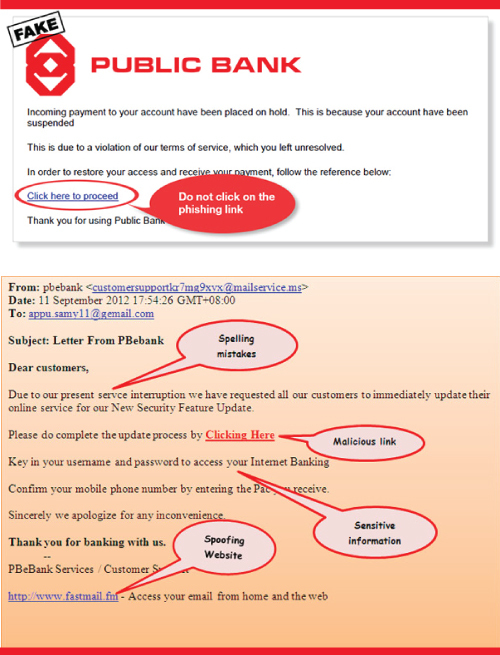 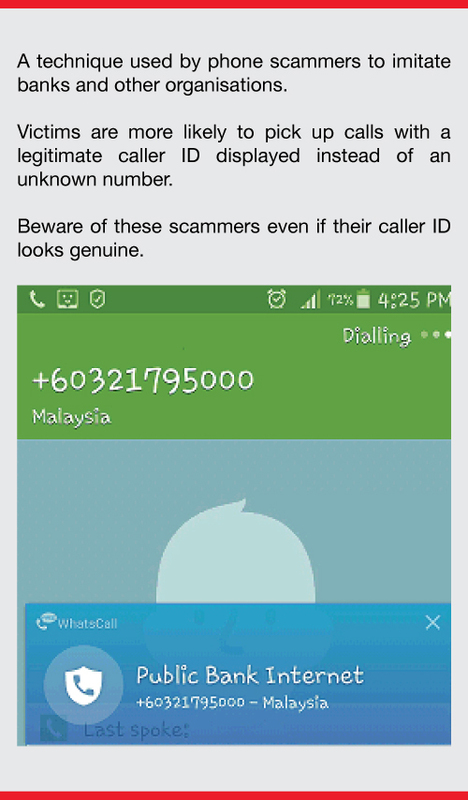 Beware of Fake Bank Negara Malicious APK File! 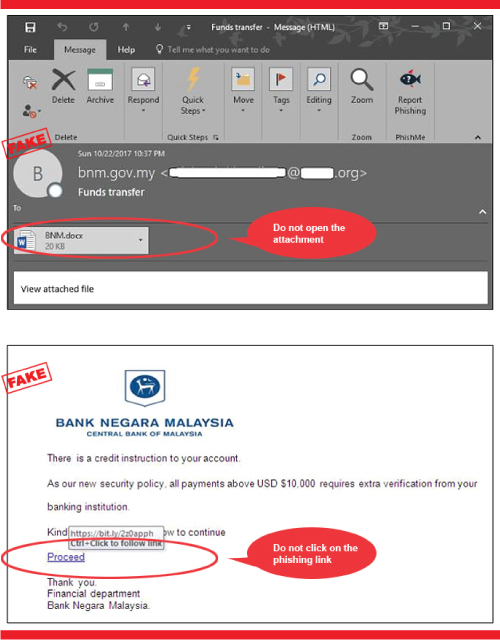 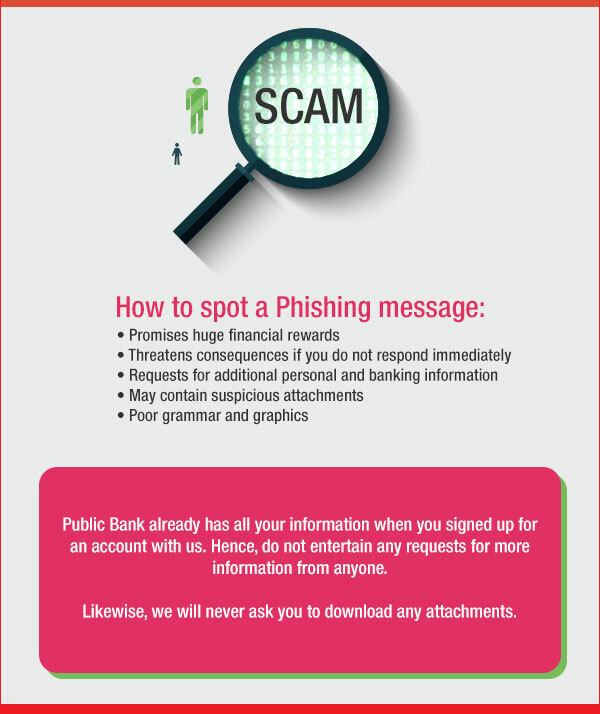 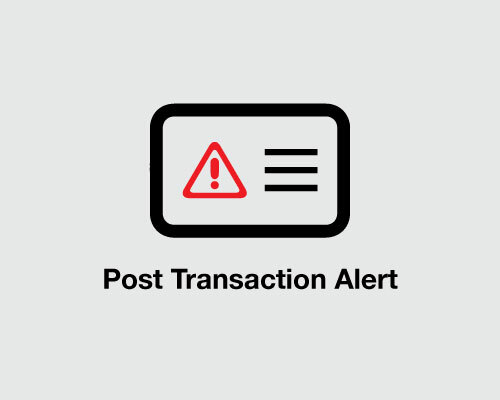 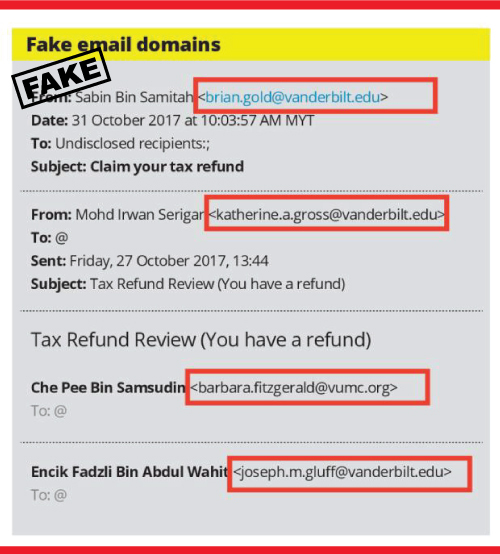 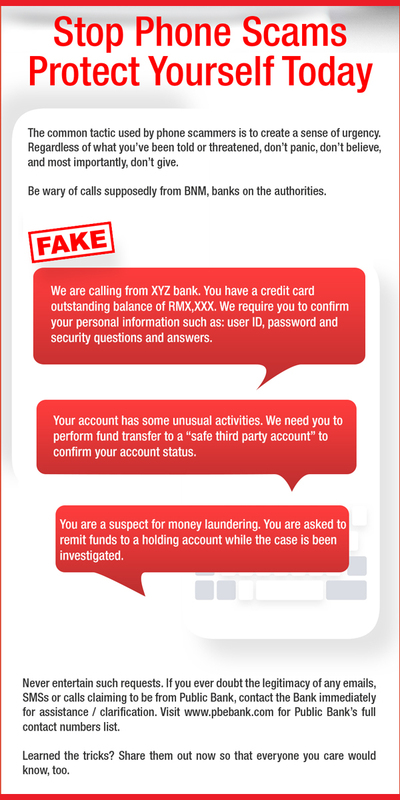 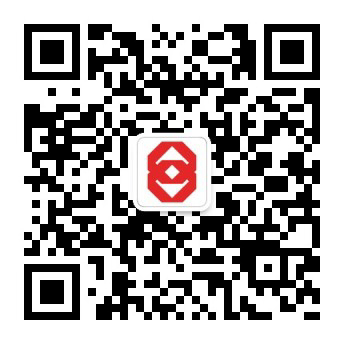 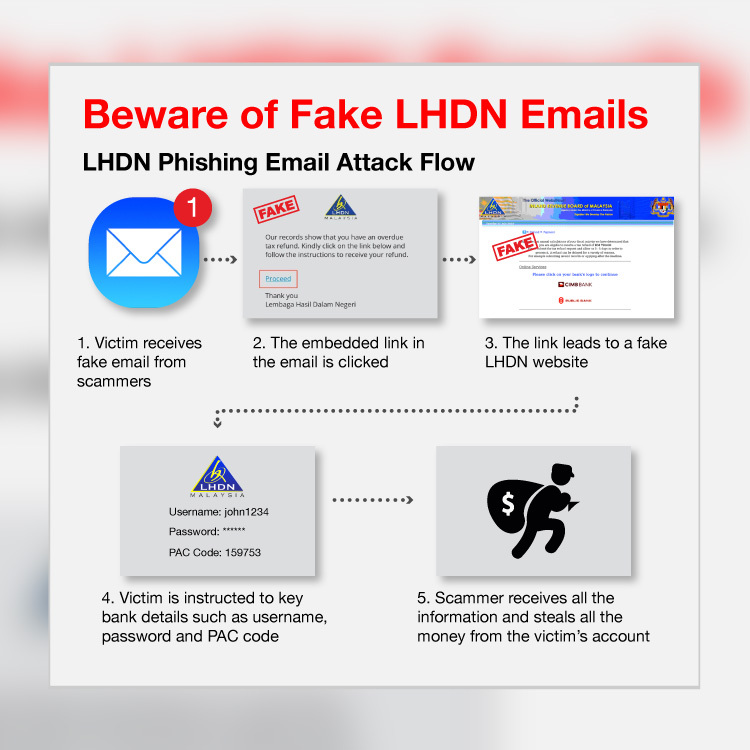 Did you received a phishing email, spotted unauthorised transactions in your account or afraid that your account is being used as a mule account?